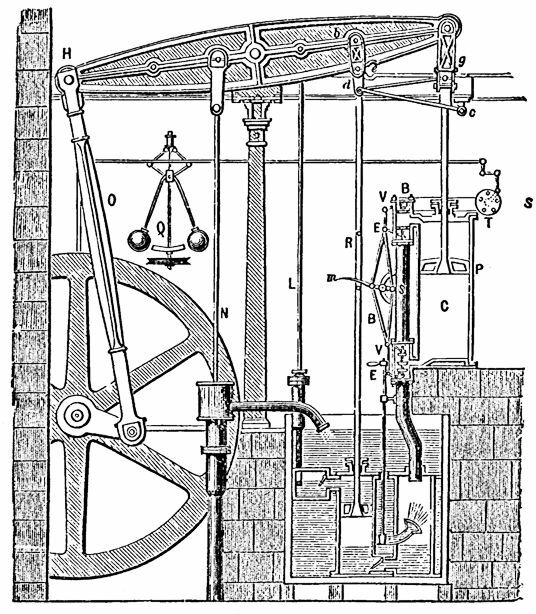 Der schottische Erfinder James Watt (1736 - 1819) lässt die doppeltwirkende Dampfmaschine patentieren. Dabei wird die Bewegung des Kolbens in beide Richtungen zum Antrieb verwendet. Gegenüber der herkömlichen Dampfmaschine braucht die neue Dampfmaschine nur ein Drittel der Kohle bei gleicher Leistung. Bodawpaya (ဘိုးတော်ဘုရား, 1745 - 1819) ist König von Burma. König Taksin lässt die Stadt Saket Nakhon (สาเกตนคร, heute: Roi Et - ร้อยเอ็ด) an die jetzige Stelle verlegen. Putsch unter der Führung von Phraya Sankhaburi (พระยาสังขะบุรี) (Phaya San) gegen König Taksin (ตากสินมหาราช) in der Hauptstadt Thonburi (ธนบุรี). "It seems clear that Taksin had fallen into a kind of Caesar complex. For this matter see particularly the accounts of the Jesuit fathers in Bangkok at that time as given in Launay, Histoire de la Mission de Siam, 1662-1811, vol. 2, p. 309; and in Siam et les Missionaires Français, pp. 162 et seq., by the same author. Launay’s account, to be sure, must be treated with some caution. He appears to be not fully free of bias in favor of Rama I, who is referred to as "our king" (Histoire de laMission de Siam, p. 321)"
"For several years past, the King of Siam greatly annoyed his subjects and foreigners who live or come back to trade in his country. Last year, the Chinese, who were used to come and trade, were obliged to give it all up. This year the annoyance of the king, who was more than half mad, was even more frequent and more cruel than before, he ordered to be imprisoned, put to chains, flogged, according to his own whims, sometimes his wife, sometimes his presumptive heir, and sometimes his highest officers. He wanted them to admit crimes which they had not committed, in order to convict them and make them pay him fines which were above their means; he wanted others to accuse unjustly those who were rich, so that he could sentence them to pay big fines to his own benefit. Two Christian nobles had suffered terribly under such treatment that one of them died of fogging. All this made the king hated by the people and by his own officers. Some of these who had received the king’s orders to vex people of the kind I just came to relate, said among themselves: "What shall I do ? If we do not do it according to the king’s orders, he would kill us; if we do it, then the people would hate us as much as they hate the king, and we shall not escape from his fury." "Thereupon they look a decision to incite the people themselves, who were already disposed and who at once followed their advice. They went straight to the palace towards midnight, laid siege to it, and tried by all sorts of means to enter it. But 36 Christians, who were charged with the defence of the palace, had fully made use of the cannons and other weapons in their care, that they stopped the rebels to enter until daybreak; then, the rebels could only be contented with holding a blockade of the palace. The next day, the king, seeing that he could not resist much longer, demanded that he be allowed to enter priesthood, to which the chief leader of the rebels agreed. The king thus had his hair cut, dressed himself in priest’s robes, and allowed those besiegers to enter the palace. They reported this incident to the two chief nobles of the country, who were at the time busy making war against Cambodia and Cochin-China. These nobles at once sent officers and soldiers who arrived in Siam, disrobed the king of his priestly robes, and put him to chains. A few days afterwards, these highest nobles, that is the Prime Minister of the kingdom and the general of the army, arrived themselves in Siam. They were two brothers, of whom the elder, who was the Prime Minister, was soon proclaimed king by the whole people. A letter which I received said that it was by the order of this new king and his brother that the old king was put to death, as well as his son, his brothers and their children, and his principal officers. Others attributed this massacre to the fury of the people. Whatever that may be, the king was put to death on the 7th April of this year 1782...."
Tong Duang (ทองด้วง) usurpiert den Thron von Siam. Die Hintergründe des Putsches werden später verschleiert, sodass nur Vermutungen existieren. Er wird später als Rama I. gezählt. "The revolt against Taksin had its origin in the person of Phraya Sankhaburi, one of Taksin’s military commanders. The king, under siege in his own palace, abdicated and took monastic orders. The governor of Nakhon Ratchasima, Čau Phraya Maha Kasatsŭk, who was stationed with his troops at Siem Reap, received news of the events in Thonburi through Phraya Suriyāaphai. He then ordered Phraya Suriyāaphai to advance immediately to Thonburi. After a struggle the latter succeeded in taking the city and putting an end to possible intentions of Phraya Sankhaburi regarding the throne of Thailand. Soon afterwards Čau Phraya Maha Kasatsŭk also came to Thonburi. The body of generals and officials assembled there immediately gave him their allegiance, and, after taking counsel in assembly, asked him to reign over the land as the new king. On April 6, 1782, Čau Phraya Maha Kasatsŭk accepted this proposal and governed the country as Rama I until his death in 1809. No further information can be obtained from available sources. However, what we do know should justify the conclusion that the first sovereign of the Čakri dynasty ascended to the vacant throne of Thailand in a legitimate way. In view of the predominant position which Rama I already had in the state, even before the abdication of Taksin, it was only natural that the crown should be offered to him rather than to one of the ambitious generals around Taksin. Not one case of disloyalty is known to us during the fifteen-year period when Rama I served as officer under Taksin. Moreover, the fact has been clearly established that the fall of Taksin was not brought about by Rama I. This is of decisive importance in this discussion. The question whether Rama I welcomed the fall of Taksin either for personal or political reasons and, if so, to what extent, is beyond the scope of historical investigation and is of a purely speculative nature." Rama I soll prophezeit haben, dass seine Dynastie nur 150 Jahre (bis 1932) Bestand haben wird. The Great Destroyer Cleansing of the land; reconstruction after the conquest by Burma and the reign of General Taksin. Truculent Demon Internal consolidation of power. Flowering Friendship Extending friendship outward. 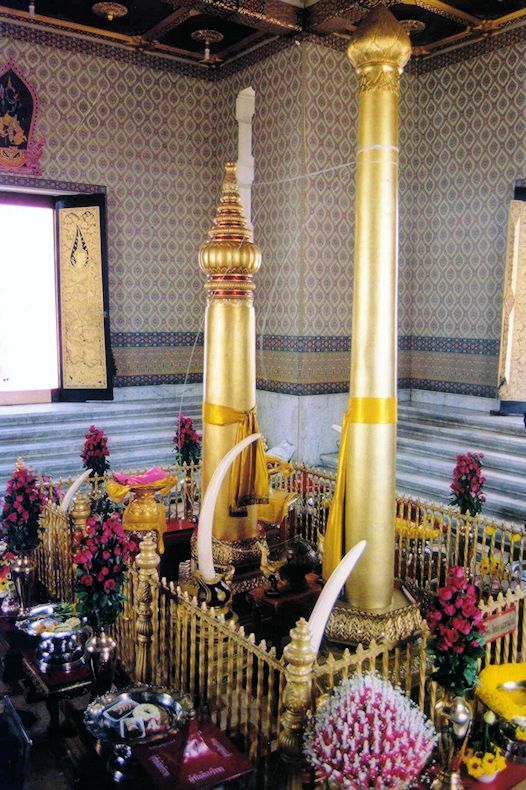 Nearness to the dharma Steeped in religion; King Mongkut spent many years in the sangha before ascending the throne. Necessary to lose an arm Loss of territory to the British and French in exchange for maintenance of Siam’s national sovereignty. Populace will become outlaws Crisis in the land; people turn to plunder. Hue and cry of the people Civil disturbance; the end of absolute monarchy in 1932. The age of terror Regicide, 1946. White birds gather An abundance of white-skinned people (U.S. military, western tourists). A civilized citizenry An age of peace and tranquility; perhaps "civilized" means a republic, an end to the dynasty. 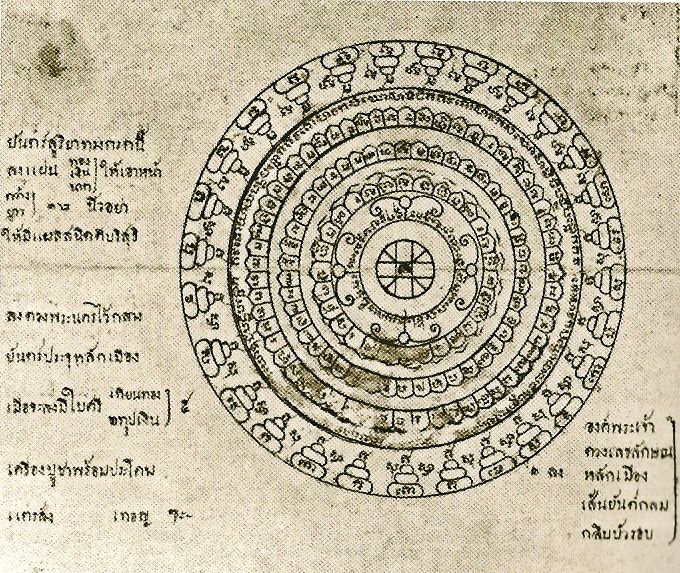 Note: The interpretations have been devised by the authors based on the possible connotations of the original Thai-language text: "The Prediction of King Rama I," c. 1800. This ancient prediction is commonly known to many educated Thais verbally, although it is seldom seen in writing. We have reconstructed it with the assistance of several friends. Abb. : Cakri-Könige: Rama I. - VII. "Phra Puttha Yotfa Chulalok (andere Schreibweise: Phra Buddha Yodfa Chulalok(e), auch bekannt als Rama I., Thai: พระบาทสมเด็จ พระพุทธยอดฟ้าจุฬาโลก, gesprochen: [pʰrábàːt sŏmdèt pʰrá pʰúttʰajôtfáː ʤùlalôːk]; * 20. März 1737 in Ayutthaya (Thailand) als Thong Duang; † 7. 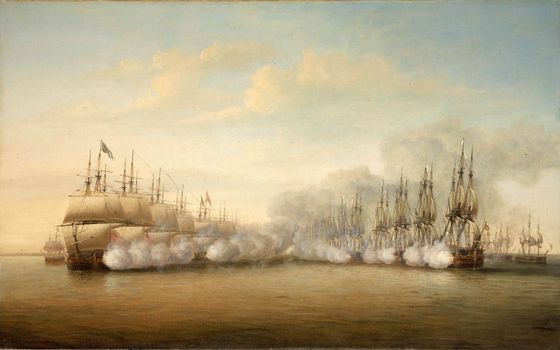 September 1809 in Bangkok) war König von Siam (alter Name für Thailand) und ist der Begründer der noch heute regierenden Chakri-Dynastie. Thong Duang wurde 1737 in der Regierungszeit von König Boromakot in eine alteingesessene Familie von Ayutthaya geboren. Sein Vater hatte den Titel „Phra Aksorn Sundorn Smiantra“, er war ein mittlerer Beamter im Mahatthai, dem Ministerium der Nordprovinzen. Seine Mutter war die Tochter einer sehr reichen chinesischen Familie (Originalton König Mongkut zu John Bowring: „a beautiful daughter of a Chinese richest family“). Im Alter von 21 begab er sich traditionsgemäß für drei Monate in ein buddhistisches Kloster. Kurze Zeit später heiratete er die Tochter einer wohlhabenden Familie in Ratchaburi. Zunächst erhielt er eine Anstellung beim Gouverneur von Ratchaburi, im Alter von 25 wurde er aufgrund seiner Tüchtigkeit mit dem Titel Luang Yokrabat ausgezeichnet. 1761 wurde er unter König Ekatat selbst zum Gouverneur der Provinz Ratchaburi ernannt. Nach dem Fall Ayutthayas schloss er sich mit seinem sechs Jahre jüngeren Bruder Surasi (Bunma) dem General Taksin an, der den Widerstand gegen die Birmanen organisierte. 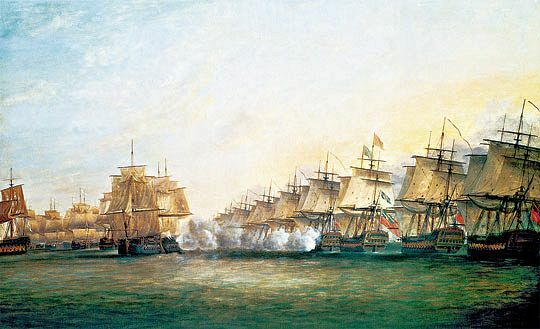 Als Dank für seine militärischen Erfolge erhielt er 1775 den Adelstitel eines Chao Phraya Chakri. Im Jahre 1778 gelang es Chao Phraya Chakri, Vientiane nach einer kurzen Belagerung einzunehmen. Seine Kriegsbeute aus Vientiane, den Smaragd-Buddha, brachte er in einem Triumphzug in die neue Hauptstadt Thonburi. 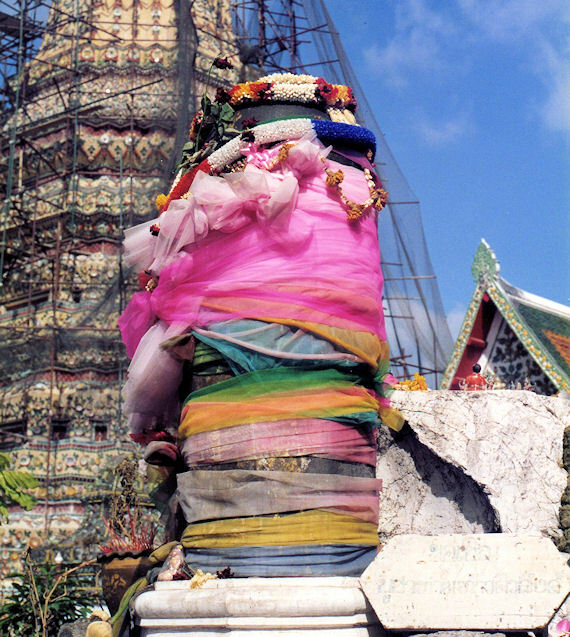 Dieser wurde zunächst im Haupt-Tempel Wat Arun untergebracht, der direkt neben dem Palast von König Taksin lag. 1781 musste Chao Phraya Chakri einen Aufstand in Kambodscha niederschlagen. Zur gleichen Zeit verwirrte sich der Geisteszustand von König Taksin zunehmend, unter anderem ließ er seine Frauen und Kinder hinrichten und sich als Gott verehren. Er wurde in einer Palastrevolte abgesetzt und trotz seiner großen Verdienste um das Land getötet, wie es einer königlichen Person zukommt: eingebunden in einen Samtsack wurde er mit einem Sandelholz-Stock zu Tode geprügelt. Man bot General Chakri den nunmehr verwaisten Thron an. Es kam Chao Phraya Chakri sicherlich zugute, dass er familiäre Bindungen zu den drei führenden Adels-Familien des alten Ayutthaya besaß: der persischen Bunnags, der Familie der Brahmanen und der Chinesen. Seine eigene Frau stammte aus dem Bunnag-Clan. Durch den Ehemann seiner älteren Schwester war er mit der Brahmanen-Linie verwandt. Wenigstens eine seiner Frauen und natürlich seine Mutter waren gebürtige Chinesinnen. Seine Königliche Gemahlin war seit 1760 Amarindra (1737-1826), eine Tochter einer wohlhabenden Monfamilie, die aus Samut Songkhram stammte. Dort gebar sie auch den späteren Thronerben Phra Phuttaloetla (Rama II.). Am 6. April 1782, der noch heute gesetzlicher Feiertag ist, übernahm Chakri als Phra Buddha Yodfa Chulalok (später kurz Rama I. genannt) den Thron Siams und begründete damit die Dynastie der Chakri, deren heutiger Vertreter als Bhumibol Adulyadej (Rama IX.) regiert. Da der alte Palast in Thonburi zu nahe am Ufer des Maenam Chao Phraya stand und durch Hochwasser gefährdet war, beschloss König Phra Phuttayodfa Chulalok, die Hauptstadt auf das gegenüberliegende Ufer zu verlegen. Dies gab den Anstoß für den Aufstieg Bangkoks zu einer der größten Städte Asiens. Gleich nach der Errichtung des Stadtpfeilers, welcher noch heute das geographische Zentrum der neuen Hauptstadt darstellt, ließ er den neuen Palast (Thai: Phra Borom Maharadscha Wang, engl. 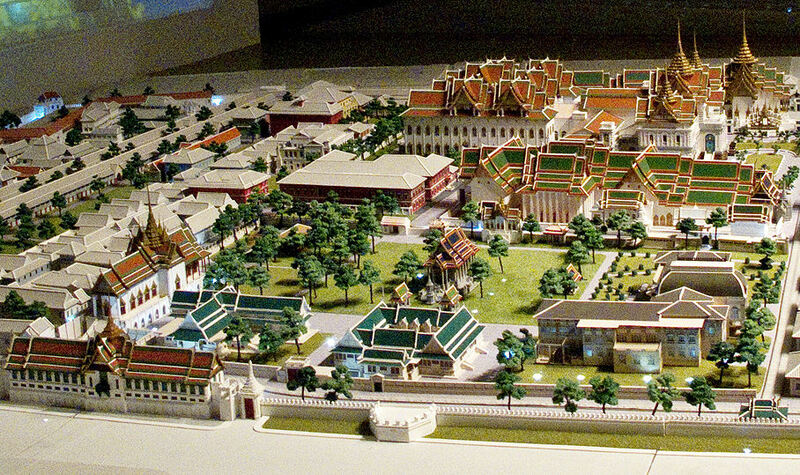 : Grand Palace) bauen und fügte großzügige Nebengebäude und eine Tempelanlage hinzu, den Wat Phra Kaeo. Hier fand dann der Smaragd-Buddha seine neue Heimat, der das Symbol der neuen Regentschaft darstellte. Zahlreiche weitere Tempel wurden restauriert, neu gegründet oder in den königlichen Rang („Wat Luang“) erhoben wie z. B. der Wat Pho. Die neue Hauptstadt lag näher am Golf von Thailand, dem wichtigsten Transportweg von und zum Kaiserreich China. König Phra Phuttayodfa Chulalok konnte auch weiterhin von den guten Beziehungen seines Vorgängers mit den chinesischen Händlern in Siam profitieren. Phra Phuttayodfa Chulalok starb am 7. September 1809 in Bangkok und wurde dort auch nach buddhistischem Ritus eingeäschert. Der Anfang der Regierungszeit war immer noch belastet durch den nahezu vollständigen Verlust der Literatur und der Gesetzestexte von Ayutthaya. König Phra Phuttayodfa Chulalok ließ deshalb die Gesetze neu fassen, konnte so auch eine gewisse Modernisierung vornehmen. Er war selbst sehr an der Literatur interessiert und verfasste das Ramakien, die thailändische Version des indischen Ramayana. Eine Statue von König Phra Phuttayodfa Chulalok wurde auf Anordnung von König Prajadhipok (Rama VII.) errichtet. Sie steht auf dem östlichen Ufer des Maenam Chao Phraya am Fuße der Phra Phuttha Yodfa-Brücke. Die Statue wurde von Prinz Narit entworfen und von Professor Silpa Bhirasri angefertigt. Die Statue konnte am 6. April 1932 (also 150 Jahre nach der Inthronisierung von König Phra Phuttayodfa Chulalok) der Öffentlichkeit übergeben werden. Seit diesem Tag gilt der 6. April als Chakri-Tag und ist offizieller Feiertag." "Mahatthai (Thai: กระทรวงมหาดไทย, Krasuang Mahatthai, [kraˌsuaŋ ma.hàːtˈtʰaj ], heute: Innenministerium) ist seit der Mitte des 15. Jahrhunderts eines der Hauptministerien der siamesischen (heute: thailändischen) Regierung. Als König Boromaracha II. im Jahr 1431 Angkor Thom erobert hatte, konnte er viele Spezialisten der Khmer als Kriegsgefangene nach Ayutthaya entführen. Sie waren meist ausgebildete Staatsmänner, die dem späteren Nachfolger des Königs zur Seite standen, als dieser sein neues System einer zentralen und differenzierten Verwaltung nach dem Vorbild der Khmer entwickelte. König Boromatrailokanat (สมเด็จพระ บรมไตรโลกนาถ - regierte von 1448 bis 1488) schließlich reorganisierte die Regierung Siams nach diesem System von Grund auf. Er teilte die Verwaltung in zwei große Bereiche ein, einen militärischen Bereich unter der Leitung eines Premierministers, dem Minister des Kalahom (กระทรวงกลาโหม) sowie einen zivilen Bereich unter dem Premierminister des Mahatthai. Jeder Bereich wurde in zahlreiche weitere Abteilungen unterteilt, in Sektionen und Untersektionen, jede mit ganz speziellen Pflichten. Der zivile Bereich des Mahatthai wurde zum Beispiel eingeteilt in das Hauptstadt-Ministerium, das Palast-, Landwirtschafts- und das Schatz-Ministerium. Jedes dieser Ministerien wurde weiter unterteilt in so genannte Khrom (กรม), wobei es separate Khroms zum Beispiel für den Außenhandel und die Außenpolitik gab, die beide dem Schatzminister untergeordnet waren. Der Leiter des Mahatthai, welches zunächst als „Ministerium für zivile Angelegenheiten“ übersetzt werden konnte, trug den Titel des Chaophraya Chakri (เจ้าพระยาจักรี). Er war der Präsident der königlichen Ratsversammlung und folglich mit einem Sakdi Na (ศักดินา) von 10.000 der Adelige mit dem höchsten Rang im Land. Er durfte, ebenso wie der König und sein Uparatcha (มหาอุปราช), sein persönliches Siegel unter offizielle Dokumente setzen, das Siegel des Königlichen Löwen (ราชสีห์ - Rachasiha). Der Chaophraya Chakri war verantwortlich für die Provinz-Städte nördlich der Hauptstadt, sein Ministerium wurde daher auch das „Nördliche Ministerium“ genannt. Bei Ratsversammlungen war jedem Minister ein spezieller Platz in der Audienzhalle zugeordnet. Diejenigen mit dem höchsten Sakdi Na befanden sich etwa 20 Schritte vor dem Fenster, in dem der König bei Audienzen erschien, weiter nach hinten diejenigen mit niedrigerem Sakdi Na (ศักดินา). Rechts vom Thron befanden sich die Beamten des Militärs, des Kalahom-Ministeriums, links die der Zivilverwaltung, des Mahatthai. So wurde das Mahatthai manchmal auch als das „Ministerium der Linken Seite“ bezeichnet. Horace G. Quaritch Wales: Ancient Siamese Government and Administration. Paragon Book, New York 1965 (Nachdr. 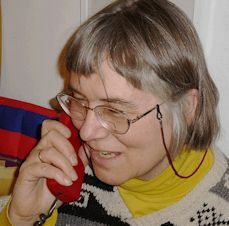 d. Ausg. London 1934). David K. Wyatt: Thailand A Short History. Silkworm Books, Chiang Mai 1984, ISBN 974-7047-44-6"
"Kalahom (Thai: กระทรวงกลาโหม, Krasuang Kalahom, [kraˈsuaŋ ka.laːˈhǒːm], heute: Verteidigungsministerium) ist seit der Mitte des 15. Jahrhunderts eines der Haupt-Ministerien der siamesischen (heute: thailändischen) Regierung. Der Leiter des Kalahom, welches zunächst als „Ministerium für militärische Angelegenheiten“ übersetzt werden konnte, trug den Titel des Chaophraya Senabodi (เจ้าพระยาเสนาบดี). Er war mit einem Sakdi Na (ศักดินา) von 10.000 einer der Adeligen mit dem höchsten Rang im Land. Er durfte – ebenso wie der König und sein Uparatcha – sein persönliches Siegel unter offizielle Dokumente setzen, das Siegel des Königlichen Kochasiha (คชสีห์ - Kochasiha), ein mythologisches Wesen, halb Löwe, halb Elefant. Der Chaophraya Senabodhi war verantwortlich für die Provinz-Städte südlich der Hauptstadt, sein Ministerium wurde daher auch das „Südliche Ministerium“ genannt. Bei Ratsversammlunngen war jedem Minister ein spezieller Platz in der Audienzhalle zugeordnet, diejenigen mit dem höchsten Sakdi Na (ศักดินา) befanden sich etwa 20 Schritte vor dem Fenster, in dem der König bei Audienzen erschien, weiter nach hinten diejenigen mit niedrigerem Sakdi Na. Links vom Thron befanden sich die Beamten der Zivil-Verwaltung, des Mahatthai, rechts die des Militärs, des Kalahom-Ministeriums. So wurde das Kalahom manchmal auch als das „Ministerium der Rechten Seite“ bezeichnet. Tej Bunnag: "The Provincial Administration of Siam 1892-1915". Oxford University Press 1978, ISBN 0-19-580343-4"
"Die Anfänge des thailändischen Finanzministeriums geht auf die Einrichtung des Krom Khlang (กรมคลัง) im Königreich Ayutthaya, dem späteren Krom Phra Khlang (กรมพระคลัง), zurück. Die Einrichtung und der jeweilige Amtsinhaber wurden von abendländischen Berichterstattern meist Phraklang genannt oder zu Berguelang und Barcelon verballhornt. Der Phraklang hatte weitreichende Befugnisse zur Besteuerung, zum Handel, zu den staatlichen Monopolen, Abgaben und sogar zu den Außenbeziehungen, die seinerzeit praktisch ausschließlich dem Handel und der daraus abgeleiteten Gewinnerzielung diente. Während der Rattanakosin-Ära blieben die meisten Befugnisse erhalten. 1855 besiegelte König Rama IV. (Mongkut) den Siamesisch-Britischen Handelsvertrag mit John Bowring, deshalb im Westen auch oft Bowring-Vertrag genannt. Dieser Vertrag diente hauptsächlich britischen Handelsinteressen; so wurden die Zölle auf maximal drei Prozent begrenzt. Der König musste eine Zollbehörde schaffen und die königliche Münze einrichten, um den neuen Herausforderungen gerecht zu werden. Ihre heutige Gestalt erhielt das Finanzministerium unter König Rama V. (Chulalongkorn), der 1873 ein Dekret unterzeichnete, das dem Königlichen Schatzministerium alle Vollmachten und die notwendigen Einrichtungen zuteilte, um seinen Aufgaben gerecht werden zu können. Als ersten Finanzminister ernannte er seinen Onkel, Prinz Mara Pamrabporapat. 1933 wurde das Ministerium im Zuge des Reformgesetzes für den Öffentlichen Dienst in Siam in Finanzministerium umbenannt und besteht heute aus 10 Abteilungen und 14 Staatsbetrieben." "The issue of agriculture and the well-being of farmers in Thailand started out very earlier on in the History of Thailand. During the Kingdom of Ayutthaya one of the King's four Ministries was the "Krom Na" (Thai: กรมนา) or Farm Ministry. Created in 1350 the Ministry was responsible for the protecting and preventing the conflicts over rice, crops and livestock. Eventually the Ministry gained more powers as appropriated by the King to: the management of land reformation, irrigation and livestock, collecting broken rice grain for the royal granary, management of the king's land donation, solving conflicts over land ownership, and appointment of officers to stay in provincial towns. During the Rattanakosin era and later periods the name of the Ministry changed several times. 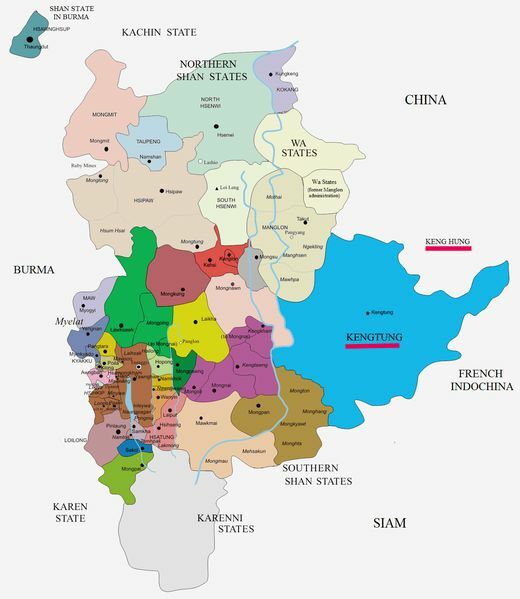 In 1892 the name changed to the "Ministry of Kasetpanichakarn", then in 1898 to the "Ministry of Kasettrathikarn", then in 1932 to the "Ministry of Kasetpanichayakarn", then in 1933 to the "Ministry of Setthakarn", then in 1935 to the "Ministry of Kasettrathikarn", then in 1952 to the "Ministry of Agriculture", and finally to its current name in 1972 to the "Ministry of Agriculture & Cooperatives"." "In Siam war der Uparat (มหาอุปราช) gewöhnlich der Bruder des Königs. Er war der Erbe auf den Thron nach dem Tode des Königs. Wenn der Uparat einmal vor dem König starb, wurde seine Position meist nicht neu besetzt, bis ein neuer König und somit ein neuer Uparat eingesetzt wurde. Jeder der ersten fünf Könige der noch heute amtierenden Chakri-Dynastie hatte einen Uparat ernannt: Phra Phuttayodfa Chulalok (Rama I.) seinen Bruder, Phra Phuttaloetla (Rama II.) ebenfalls seinen Bruder, Phra Nang Klao (Rama III.) ernannte seinen Onkel, den Bruder von König Phuttaloetla (Rama II. ), Mongkut (Rama IV.) ernannte wiederum seinen Bruder und der Regent des minderjährigen Königs Chulalongkorn (Rama V.) ernannte den ältesten Sohn des vorherigen Uparat zum Nachfolger. Bis auf Phra Phuttaloetla (Rama II.) verstarben alle Uparat vor ihren Königen, nur Isarasundhorn (Phra Phuttaloetla - Rama II.) wurde neuer König, nachdem er zuvor Uparat gewesen war. Das Verhältnis zwischen dem König und seinem Uparat war selten harmonisch, da der Uparat oft dazu neigte, seine Macht auszuweiten, um schließlich den König vor dessen Tod zu ersetzen. Der letzte dieser Machtkämpfe war der sog. „Front-Palace-Incident“ im Jahr 1874. Ein Feuer im Großen Palast wurde dem Uparat Bovorn Vichaicharn zugeschrieben, der daraufhin im britischen Konsulat um Schutz ersuchte. Die Krise begann während der sich rasant entwickelnden Reformen des jungen Königs Chulalongkorn (Rama V.). Dies führte dazu, dass die Reformen für einige Zeit „auf Eis gelegt“ wurden. Als der Uparat 1885 starb, wurde das gesamte Uparat-System vom König abgeschafft, er bestimmte seinen Sohn zu seinem Nachfolger. Im Königreich Ayutthaya lag der Vordere Palast, der Chandra-Kasem-Palast, in der nordöstlichen Ecke der Insel. Er wurde 1577 erbaut, König Mongkut ließ ihn restaurieren und zu seinem Sommerpalast umbauen. Heute beherbergt er das „Chantharakasem National Museum“. 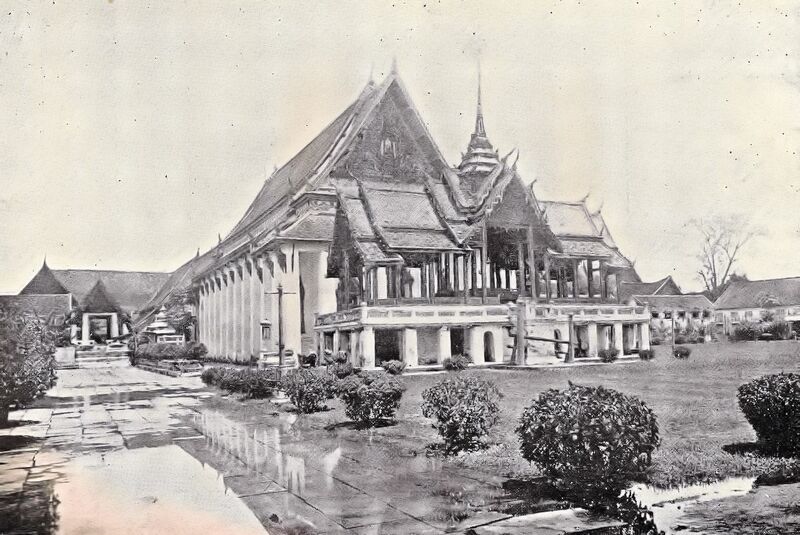 In der Rattanakosin-Zeit lag der Vordere Palast nördlich des Großen Palastes. Heute befindet sich auf diesem Gelände das Nationalmuseum Bangkok." Fronpflicht für drei Monate pro Jahr. Der jährliche Frondienst kann mit einer Zahlung von sechs Baht pro Monat abgelöst werden. In Kriegszeiten tritt an Stelle des Frondienstes die Verpflichtung zum Militärdienst. Wichtigste Einkommensquelle des Königs ist der Handel mit China. Dieser Handel erfolgt auf Sampans (舢舨). "The greatest revenues in that era [Rama I.] came from the Chinese junk trade. 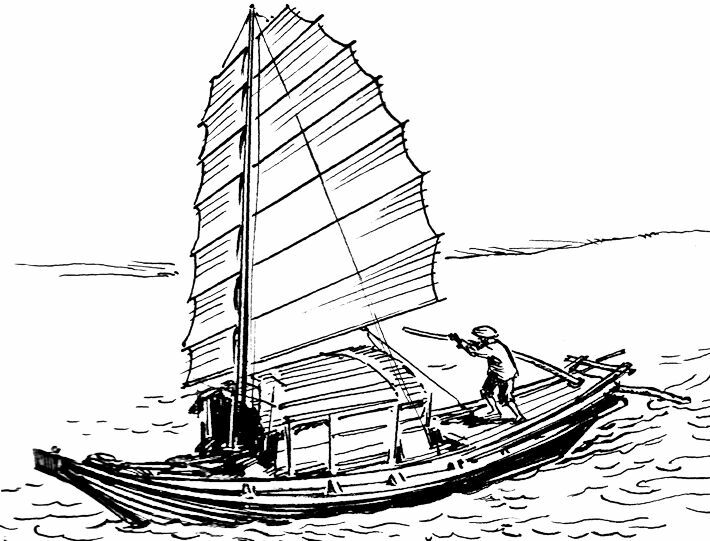 There were Chinese junks built like the Chinese style tuakang (tiller steerage) ships, with a rahu demon head at the bow. Some of these demon heads were painted green, some red. The junks measured each from five to seven wa34 across the beam. There were a large number of them. Some belonged to the Crown, some to members of the royal family, some to government officials, and some to merchants. These ships were either built in Bangkok or in provincial areas outside the capital. They were loaded with merchandise to be sold in China every year. Some ships sold only their cargoes of merchandise, some ships sold both their cargoes of merchandise and the ships themselves as well. The profits of this junk trade were tremendous." Der älteste Sohn Ramas I., Prinz Issara-Sunthorn (อิศรสุนทร, 1768 - 1824), der künftige Rama II. treibt einen lukrativen Handel mit chinesischen Luxusartikeln wie Porzellan und Yixing Teekannen (宜興 / 紫砂). Dazu verwendet er Laderaum in den Dschunken seines Vaters Rama I. "Queen Amarindra (Thai: อมรินทรา; RTGS: —Amarinthra—) (15 March 1737 – 25 May 1826),was the Queen Consort of King Buddha Yodfa Chulaloke (Rama I), the founder of the Chakri Dynasty. Her birth name was Nak (นาค). She was a daughter of a wealthy Mon (မောန်)  from Bang Chang (บ้านบางช้าง), in Samut Songkhram Province (สมุทรสงคราม). 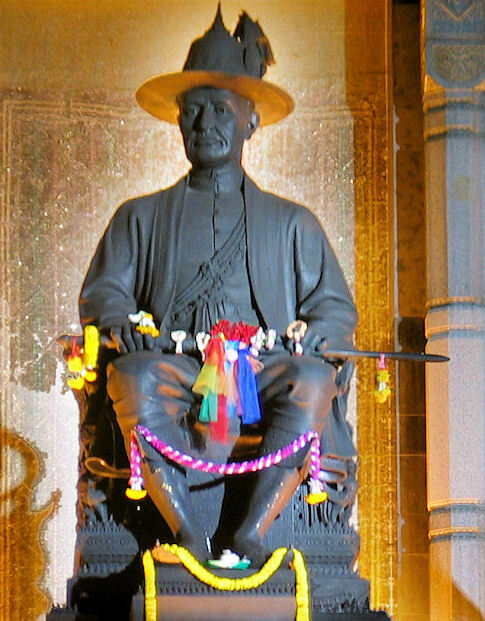 Nak was born in 1737 to a local patron of Bang Chang named Thong and his wife San. She was then married to Thong Duang the Luang Yokkrabat of Ratchaburi (ราชบุรี) (future Rama I) around 1760 to avoid being taken as a court lady to King Ekathat (พระบาทสมเด็จพระบรมราชากษัตริย์บวรสุจริต, gest. 1767). She bore three sons and seven daughters to Thong Duang. Her sister, Nuan, was married to Bunnag (บุนนาค) – the primogenitor of Bunnag family. Thong Duang was granted the title Somdet Chao Phraya by King Taksin (สมเด็จพระเจ้าตากสินมหาราช, 1734 - 1782) in 1776. In 1779, the Somdet Chao Phraya went on his campaigns against Vientiane (ວຽງຈັນ) and took a daughter of King Suriyavong of Vientiane as his concubine – Kamwaen (เจ้าจอมแว่น). Kam Waen became Somdet Chao Phraya’s favorite much to the dismay of Nak. One day, she beat Kam Waen with a wooden stick and Kam Waen ran for the Somdet Chao Phraya. The Somdet Chao Phraya was enraged with the incident and threatened to murder Nak with a sword, only with her son Chim (future Rama II)’s help that Nak was able to flee to the Thonburi Palace to live with her daughter Chimyai (concubine to King Taksin). After the incident, Nak and the king had never came into reconciliation. Lady Nak stayed in the Thonburi Palace with her daughter and after her death in 1779 took care of her children including Prince Kasatranuchit. The Somdet Chao Phraya became a monarch in 1782 and most of Taksin's sons were executed except for Prince Kasatranuchit who was his own grandson. Lady Nak and her grandsons moved to her former residence and had never received any royal titles. She occasionally went to the Grand Palace (พระบรมมหาราชวัง) to visit her daughters. In 1809, King Rama I died and was succeeded by his son Rama II who raised his mother Nak to the rank of queen – Krom Somdet Phra Amarindramat (Thai: กรมสมเด็จพระอมรินทรามาตย์) the Queen Mother and moved to the Grand Palace. However, Prince Kasatranuchit was found to be in a rebellion and was executed along with his siblings and sons. She lived to see her grandson crowned as Rama III and outlived all her children. Queen Amarindra died in 1826. Queen Amarindra was later raised to Somdet Phra Amarindra Boromma Rajini (Thai: สมเด็จพระอมรินทราบรมราชินี) by King Vajiravudh. Princess Prapaiwadi (1777–1823) Kromma Luang Thepayawadi"
"When Rama I. was not engaged in military campaigns, he passed the day according to a definite plan. Around nine o'clock he gave the monks who were passing before his palace nourishment for the day in their bowls of alms. At ten o’clock he invited other monks to dine in the palace in his presence. In the morning hours immediately following there were official audiences for the highest officials and for members of the royal household. First the king heard the report of the Phra Khlang on the expenditure for the royal household and the other uses to which the government money was put. Members of his family and officers of the bodyguard were then admitted to his presence. Immediately afterwards the heads of the different departments made their reports and awaited the commands of the king. After this audience Rama I retired to the interior of the palace where he had his breakfast. During this meal officials of the inner palace were permitted to ask for an audience concerning matters of a more private nature, and people engaged in particular tasks with which they had been charged by the king made their reports at this time. The evening meal was at six o’clock, and at seven the king was in conversation with Buddhist monks. Afterwards there were again public audiences, particularly for such ministers as the Mahatthai, the Kalahom, the Phra Khlang, the Yomarat, among others, and for the provincial governors with whom affairs of state were discussed. These Audiences usually came to an end around ten o’clock in the evening, but in times of crisis they sometimes lasted until midnight. An essential part of the affairs of state was to be found in the numerous ceremonies with which the king had to concern himself for a number of different reasons. Most of these ceremonies took place in great magnificence and splendor and involved the whole apparatus of the state." Rama I. erlässt 1782 bis 1801 zehn Dekrete zur Beseitigung der Verderbnis innerhalb des buddhistischen Ordens (กฎหมายพระสงฆ์), z.B. Ausschluss aus dem Orden von 128 Mönchen, u.a. wegen Alkoholismus, Besuch von nächtlichen Vergnügungen, unzüchtige Berührung von Frauen, Kauf wertvoller Gegenstände auf chinesischen Dschunken. "Monks and novices shall be prohibited from helping laymen, giving them fruits, leaves, flowers etc, co-operating in telling and propagating in, or ordering to request laymen to donate the things belonging to them who are not relatives, to be the messenger as the agency in sending the message of laymen and they are also prohibited from doing all activities out of the teachings in Patimokkhasangvara Vinaya." Alle Darstellungen des Lingam (Phallus Śivas) müssen verbrannt werden. Rama I. schickt einen Gesandten zum portugiesischen Gouverneur von Macao (澳門) mit der Botschaft, dass die christlichen Missionare, die unter König Taksin des Landes verwiesen worden waren, wieder zurückkehren können, und dass der König freundschaftlichen Handel mit den Ausländern treiben will. Christliche Adlige dürfen ab jetzt ihren Treueid auf christliche Weise leisten. Kedah (قدح) anerkennt die Oberhoheit Siams. Im Isaan (อีสาน, Nordostthailand) werden 113 neue Städte gegründet und zwangsweise mit Laoten besiedelt. Der portugiesische Geistliche Francisco das Chargas kommt nach Bangkok und überbringt Rama I. einen Brief des Gouverneurs der portugiesischen Kolonie Goa. Rama I. ernennt 1782 Kawila (พระเจ้าบรมราชาธิบดีกาวิละ) zum König von Chiang Mai (รัตนติงสาอภินวปุรีสรีคุรุรัฎฐพระนครเชียงใหม่). Die Stadt Chiang Mai ist noch zerstört und wird erst 1796 wieder aufgebaut. "Chao Kawila (Thai: เจ้ากาวิละ, auch Phaya Kawila - พญากาวิละ, * 1742; † 1816) war ein König des Königreichs Lan Na (heute: Nordregion von Thailand). Er regierte zunächst von 1775 bis 1881 in Lampang, anschließend von 1782 bis zu seinem Tode am 3. Februar 1816 in Chiang Mai. Während der 200-jährigen Besatzungszeit des heutigen Nordthailand durch die Burmesen, standen die lokalen Könige den Burmesen generell unkooperativ gegenüber. Einige jedoch wußten die burmesische Stärke auszunutzen, wie König Thipchang (Chao Thip Chang - เจ้าทิพย์ช้าง) von Lampang. Mit burmesischer Hilfe konnte er während seiner 27-jährigen Herrschaft (1732-1759) den Status von Lampang stärken. Er sandte den Burmesen Tribut und wurde von ihnen mit dem Titel Phraya Chaisongkhram („siegreich im Krieg“) ausgezeichnet. Sein Nachfolger wurde sein Sohn Prinz Chai Kaeo (เจ้าชายแก้ว), der mit dem Titel Chaofa Singharatchathani ausgezeichnet wurde. Er hatte sieben Söhne, von denen Prinz Kawila seinem Vater nach dessen Tod auf den Thron von Lampang folgte. Chao Kawila schloss mit dem Regenten von Chiang Mai, Phraya Chaban (พระยาจ่าบ้าน), eine Allianz mit dem Ziel, die burmesische Unterdrückung zu beenden. Zu jener Zeit diente Lan Na den Burmesen als Basis, von der aus neue Rekruten für die Belagerung von Ayutthaya zwangsverpflichtet wurden. Im Jahr 1771 kam es in Chiang Mai zu einem Aufstand gegen die burmesische Tyrannei. Er wurde angeführt durch Chao Kawila und Phraya Chaban, die nur eine kleine Truppe von 300 schlecht ausgerüsteten Männern befehligten. Der Aufstand konnte von den burmesischen Besatzungstruppen zurückgeschlagen werden, als Vergeltungsmaßnahme wurden die Familien der Anführer ins Gefängnis geworfen. Chao Kawila und Phraya Chaban kamen schließlich zu der Einsicht, dass sie alleine nichts ausrichten konnten. So reiste Phraya Chaban nach Thonburi, um König Taksin um Beistand zu bitten. Dieser Schritt war umso schwerwiegender, als Phraya Chaban noch kurze Zeit zuvor Chiang Mai gegen Taksins Truppen verteidigt hatte. Taksin sandte erneut Truppen, die unter der Führung von Thong Duang in nur 17 Tagen bis Thoen vorrücken konnten. 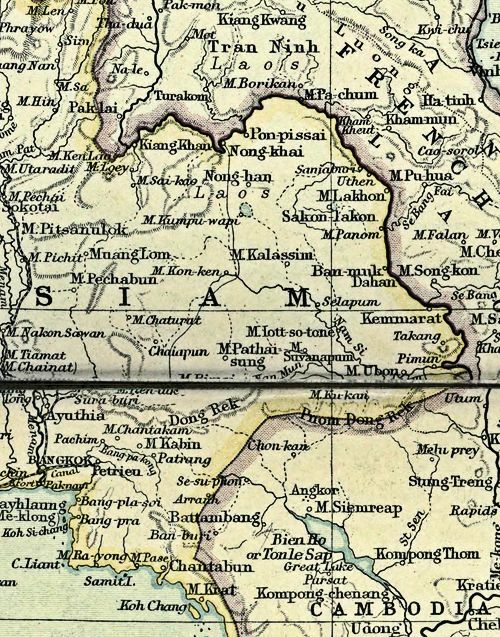 Nachdem der burmesische Statthalter hingerichtet worden war, konnte 1774 Chiang Mai von den Siamesen eingenommen werden. 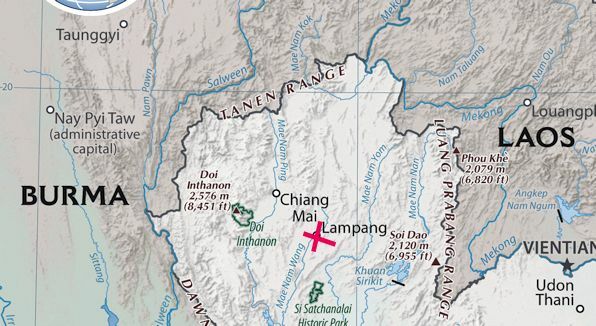 Taksin verlieh Phraya Chaban den Titel Luang Wachiraprakan Kamphaengphet und ernannte ihn zum Herrscher von Chiang Mai. Kawila wurde zum Herrscher von Lampang ernannt, wo er von seinen sechs Brüdern unterstützt wieder eine starke Stadt aufbauen konnte. Auf dem Rückweg nach Thonburi wurde König Taksin die Nichte von Kawila als Nebenfrau angeboten, etwa gleichzeitig wurde Kawilas jüngere Schwester die Nebenfrau von Chaophraya Surasi, dem jüngeren Bruder des späteren ersten Königs der Chakri-Dynastie. Dies stärkte die Verbindung und die Macht der „Sieben Brüder“ (Chao Chet Thon), die die nach ihnen benannte Dynastie gründeten. Kawila konnte in den folgenden Jahren alle anderen Herrscher von Lan Na überzeugen, sich zur Loyalität Siam gegenüber zu verpflichten. Nachdem Phraya Chaban gestorben war, wurde Chao Kawila 1782 vom König Puttha Yotfa Chulalok (Rama I.) zum Phraya Watchiraprakan (พระยาวชิร ปราการ) und damit zum König von Chiang Mai ernannt. Kawila hielt seine Residenz zunächst noch in Lampang, erst am 17. März 1797 begab er sich in Begleitung von zwei seiner Brüder nach Chiang Mai. Am 26. März kam er im Wat Buppharam an. Von dort aus führte er den alten Brauch der Lan-Na-Könige durch, indem er die Stadt umrundete. Er brachte seine Ehrerbietung der Buddha-Statue des Wat Chiang Yuen dar, bevor er zur Mittagszeit durch das Pratu Chang Pueak (Das Stadttor des Weißen Elefanten) die Stadt betrat. Vor dem Wat Chiang Man rastete er eine Nacht, erst dann betrat er den Königlichen Palast. In den folgenden Jahren stabilisierte und sicherte er die zunächst fast menschenleere Stadt Chiang Mai. Er siedelte einige Hundert Menschen aus Lampang südlich und östlich der Stadt an. Zum Schutz errichtete er einen Erdwall, der noch heute an der Thanon Kamphaengdin (Erdwall-Straße) stellenweise erhalten ist. Auch die Stadtmauer aus Ziegeln rund um die alte Stadt sowie die Stadtkanäle wurden erneuert. Heilige Stätten, wie zum Beispiel das Chang-Phueak-Denkmal (Denkmal der Weißen Elefanten) und die Löwen-Figuren des Khuang Singh sowie die Einsiedler-Statue des Suthep im Wat Phra That Doi Suthep wurden restauriert, ebenso eine Vielzahl an buddhistischen Tempeln. Am 30. Januar 1816 wurde der König schwer krank. Am Donnerstag dem 3. Februar starb König Kawila im Alter von 74 Jahren an einem Fieber. Sein Nachfolger war sein Bruder Chao Noi Thammalangka, der dritte Sohn von Chao Chai Kaeo. Dieser war bereits seit 1774 Phraya Ratchawong von Lampang. Im Jahr 1782 wurde er zum Uparatcha von Chiang Mai ernannt. Sarawassadee Ongsakul: History of Lan Na. Chiang Mai: Silkworm Books 2005. ISBN 974-9575-84-9. David K. Wyatt, Aroonrut Wichienkeeo: The Chiang Mai Chronicle. Silkworm Books, Chiang Mai 1995, ISBN 974-7047-67-5"
Rama I. sendet eine Gesandtschaft mit Tributen nach Beijing zum Kaiser von China mit der Bitte um Bestätigung als König von Siam. Beginn des Baus des Front Palace (วังหน้า). "Krom Phra Rajawang Bovorn Sathan Mongkol (Thai: กรมพระราชวังบวรสถานมงคล (Pronunciation)) or the Front Palace (วังหน้า) was a royal title granted by the Siamese monarchy until the nineteenth century. The holder of the title of Front Palace was considered the heir to the throne and second only to the King. 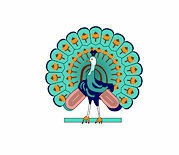 The title originated in the Ayutthaya period and later gained significant powers during the Rattanakosin period. The Front Palaces were usually the son or brothers of the monarchs. The title existed until 1885 with the death of Prince Vichaichan (กรมพระราชวังบวรวิไชยชาญ, 1838 - 1885), the last Front Palace. King Chulalongkorn then abolished the title and introduced the Western style of "Crown Prince of Siam" (สยามมกุฎราชกุมาร) for the heir apparent. 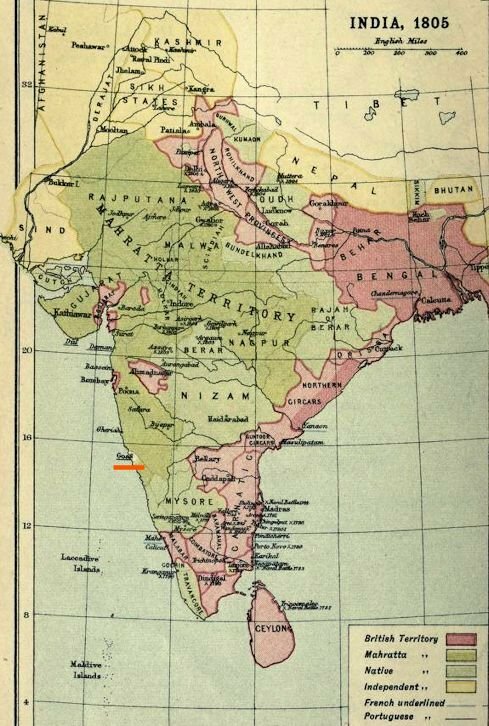 The Uparaja (มหาอุปราช) or Vice-King concept was of an Indian origin. With the foundation of the Chakri dynasty in 1782, Buddha Yodfa Chulaloke made his younger brother Bunma the Front Palace (as Maha Sura Singhanat - สมเด็จพระบวรราชเจ้ามหาสุรสิงหนาท, 1744–1803)). Maha Sura Singhanat supervised the construction of Front Palace in Bangkok. Later Front Palaces continued the expansion of the palace. Prince Isarasundhorn was the only Front Palace who did not reside in the Front Palace but instead lived at the Thonburi Palace. Ironically, with the exception of Prince Isarasundhorn (who succeeded to the throne as Buddha Loetla Nabhalai - พระบาทสมเด็จพระบรมราชพงศ์เชษมเหศวรสุนทร พระพุทธเลิศหล้านภาลัย, 1767 - 1824), none of the Rattanakosin Front Palaces were actually crowned as they were mostly the monarch's siblings. During this time the Vice-King resided in the Front Palace (วังหน้า: Wang Na) north of the Grand Palace, which is now the main building of the National Museum (พิพิธภัณฑสถานแห่งชาติ). The Front Palaces during the Rattanakosin period had wielded large amounts of power, with their own private army and even a navy. In 1851, King Mongkut made his brother Pinklao (พระบาทสมเด็จพระปิ่นเกล้าเจ้าอยู่หัว, 1808 - 1866) the Front Palace and then crowned him as a King equaled to himself, like the case of Naresuan and Ekatotsarot. Pinklao also received all the styles and titles usually reserved only for the monarch, to Europeans he refers to himself as the Second King. This greatly expanded the power of the Front Palace. In 1868, after the coronation of young Chulalongkorn, Sri Suriyawongse (สมเด็จเจ้าพระยาบรมมหาศรีสุริยวงศ์, 1808 - 1883) his regent arranged the grant of the Front Palace title to Pinklao's son, Prince Yingyot as Front Palace Bovorn Vichaichan (กรมพระราชวังบวรวิไชยชาญ, 1838 - 1885). The conflicts between the reformist King Chulalongkorn and conservative Vice King came to a head in the so-called Front Palace Crisis (วิกฤตการณ์วังหน้า) in 1874 - a fire in the Grand Palace was attributed to the Vice-King Bovorn Vichaicharn, who sought protection in the British consulate. The crisis started due to the fast-paced reforms started by the young King Chulalongkorn. 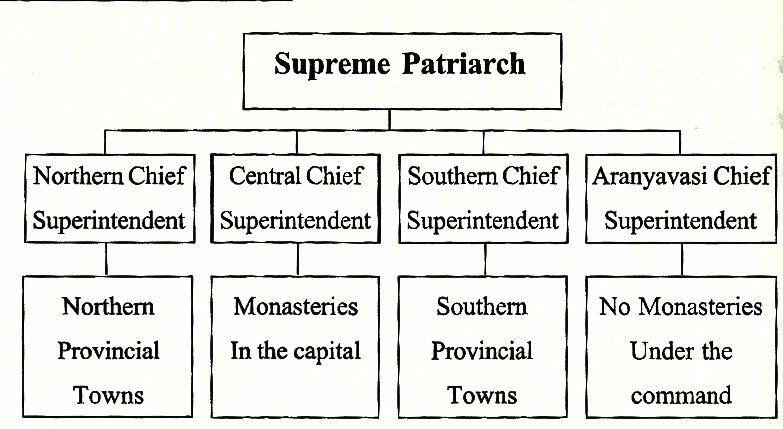 As a result the reforms were stalled for several years, and when the Vice-King died in 1885 the whole Uparath (มหาอุปราช) system was abolished by the King. Instead he named his son as heir and Crown Prince (สยามมกุฎราชกุมาร). With the death of Vichaichan, Chulalongkorn did not appoint any new Front Palaces. In 1886, Chulalongkorn made his son Prince Maha Vajirunhis (หาวชิรุณหิศ, 1878 - 1895), "Crown Prince of Siam", therefore abolishing the title of Front Palace altogether." "Somdet Phra Bawornrajchao Maha Sura Singhanat (Thai: สมเด็จพระบวรราชเจ้ามหาสุรสิงหนาท) (1744–1803) was the younger brother of Buddha Yodfa Chulaloke, the first monarch of the Chakri dynasty of Siam. As an Ayutthayan general, he fought alongside his brother in various campaigns against Burmese invaders and the local warlords. When his brother crowned himself as the king of Siam at Bangkok in 1781, he was appointed the Front Palace (วังหน้า - กรมพระราชวังบวรสถานมงคล) or Maha Uparaj, the title of the heir. During the reign of his brother, he was known for his important role in the campaigns against Bodawpaya (ဘိုးတော်ဘုရား, 1745 - 1819) of Burma. Bunma was born in 1744 to Thongdee and Daoreung. His father Thongdee was the Royal Secretary of Northern Siam and Keeper of Royal Seal. As a son of aristrocrat, he entered the palace and began his aristocratic life as a royal page. 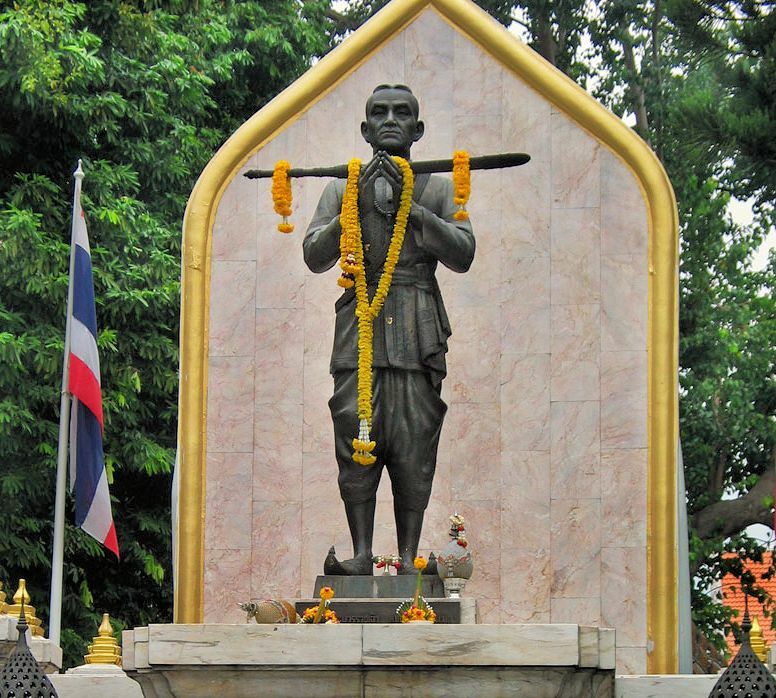 Thongdee was a descendant of Kosa Pan (โกษาปาน), the leader of Siamese mission to France in the seventeenth century. Bunma had four other siblings and two other half-siblings. 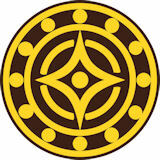 Bunma himself was the youngest born to Daoreung. In 1767, Ayutthaya (อาณาจักรอยุธยา) was about to fall. Bunma fled the city with a small carrack to join the rest of his family at Amphawa (อัมพวา), Samut Songkram (สมุทรสงคราม). His brother the Luang Yokbat of Ratchaburi (ราชบุรี) suggested that he should join Taksin's (ตากสิน) forces at Chonburi (ชลบุรี). After the fall of Ayutthaya, the city and peripheral areas were under the control of the Burmese, while local Siamese nobles established their own states. In 1768, Taksin recaptured Ayutthaya and repelled the Burmese. 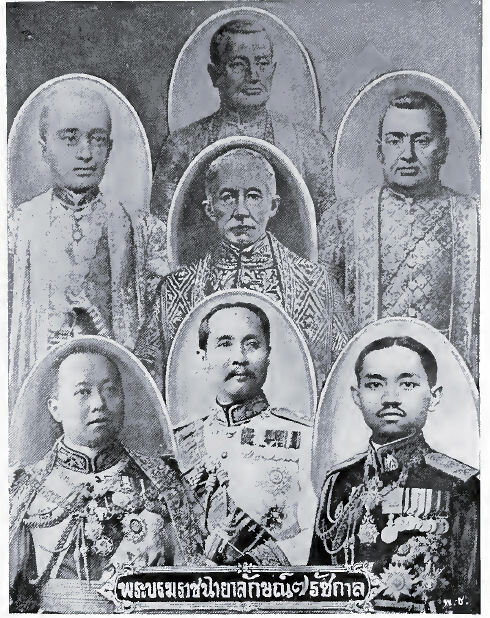 After the establishment of Thonburi and coronation of Taksin, Bunma was appointed Phra Maha Montri (Royal Police of the Right). In the same year the two brothers joined the forces against Lord Pimai of Korat (โคราช). After the campaign he was raised to Phraya Anuchitraja Anuchitraja waged several fightings to repel Burmese invasions. 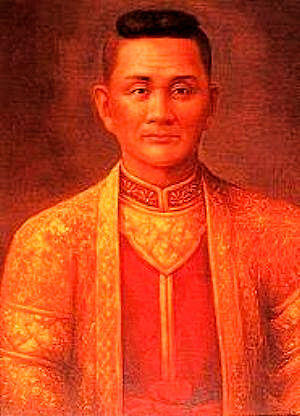 In 1770, after the defeat of Lord Fang, Anuchitraja became Chao Phraya Surasi - the ruler of Pitsanulok (พิษณุโลก) and defender of northern frontiers. In 1771, Surasi joined Phraya Pichai (พระยาพิชัย, 1741 - 1782) in his legendary fighting that broke his sword. Chao Phraya Surasi was known for his ruthlessness in wars that the Burmese gave him the epithet Tiger Lord. In 1774, Phraya Surasi and his brother was assigned the mission of the capture of Lanna (ᩋᩣᨱᩣᨧᩢᨠᩕᩃ᩶ᩣ᩠ᨶᨶᩣ) from the Burmese. 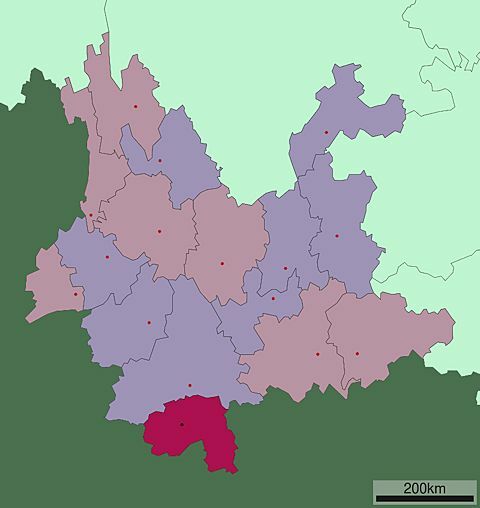 With the help of Prince Kawila (เจ้ากาวิละ) of Lampang (ลำปาง), the Siamese forces were able to take Chiangmai (ᨩ᩠ᨿᨦᩉ᩠ᨾᩲ᩵). Surasi then took Kawila's sister, Sri Anocha, as his principal wife. During 1771 - 1781, Surasi joined his brother in massive campaigns subjugating the Laotian kingdoms of Vientiane (ວຽງຈັນ), Luang Prabang (ຫຼວງພຣະບາງ), and Champasak (ຈຳປາສັກ ), and Cambodia (ព្រះរាជាណាចក្រកម្ពុជា). In 1781s, Taksin fell ill and a rebellion sprang out to depose the king. 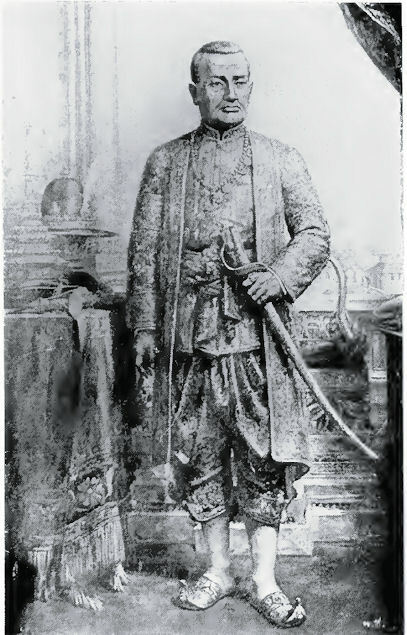 His brother the Somdet Chao Phraya Maha Kshatriyaseuk returned to Bangkok to undo the rebellion. Maha Kshatriyaseuk then crowned himself as Buddha Yodfa Chulaloke and moved the capital to the left bank of Chao Phraya river - modern Bangkok. Surasi, as Buddha Yodfa Chulaloke's right hand, was appointed the Front Palace or heir to the throne. 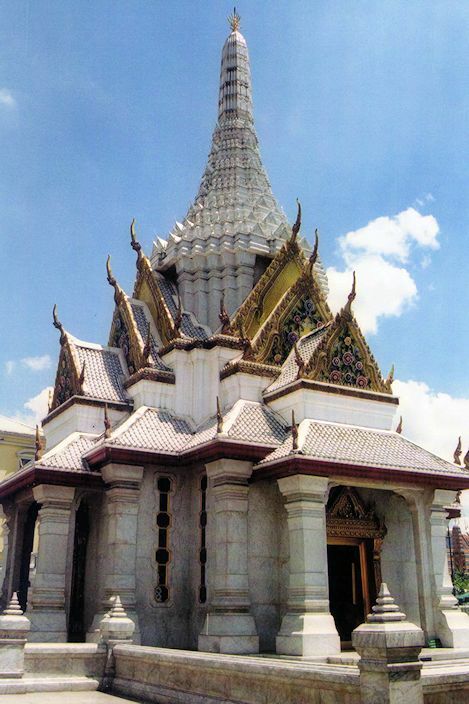 Maha Sura Singhanat pioneered the construction of the Front Palace. In 1785, the Burmese king Bodawpaya launched the massive invasions of Siam in the Nine Armies War (สงครามเก้าทัพ). Maha Sura Singhanat led the Siamese forces to receive the Burmese attacks coming from the west and south. He strategically defeated the superior Burmese armies and forced Bodawpaya to retreat. Next year in 1786, Bodawpaya came again and encamped his armies at Ta Din Daeng. Maha Sura Singhanat then inflicted the fatal blow to the Burmese and forced them to retreat for the second time. In 1802, the Burmese invaded Chiangmai. Buddha Yodfa Chulalok sent his brother to relieve the siege on Chiangmai. However, Maha Sura Singhanat fell ill on the course of journey but dispatched his troops to Chiangmai in substitution. Buddha Yodfa Chulalok, upon hearing about the illness of his brother, then sent his nephew Anurak Devesh (เจ้าฟ้ากรมพระอนุรักษ์เทเวศร์ กรมพระราชวังบวรสถานภิมุข, 1746 - 1806) the Rear Palace to get Chiangmai. But the Front Palace forces took Chiangmai beforehand and complained Royal Palace forces' inefficiency. This stirred the conflicts between militarymen of the two palaces. In 1803, Maha Sura Singhanat fell ill seriously. However, as recorded by Princess Kampushchat, Maha Sura Singhanat's daughter with his Cambodian concubine, the Front Palace officials blocked the Royal Palace forces from entering the Front Palace as Buddha Yodfa Chulalok came to take care of his brother. Maha Sura Singhanat also expressed his will that the treasures of the Front Palace should be inherited only by his own descendants. Maha Sura Singhanat finally died in 1803." Der König verbietet Staatsbediensteten die Teilnahme an Glücksspielen. 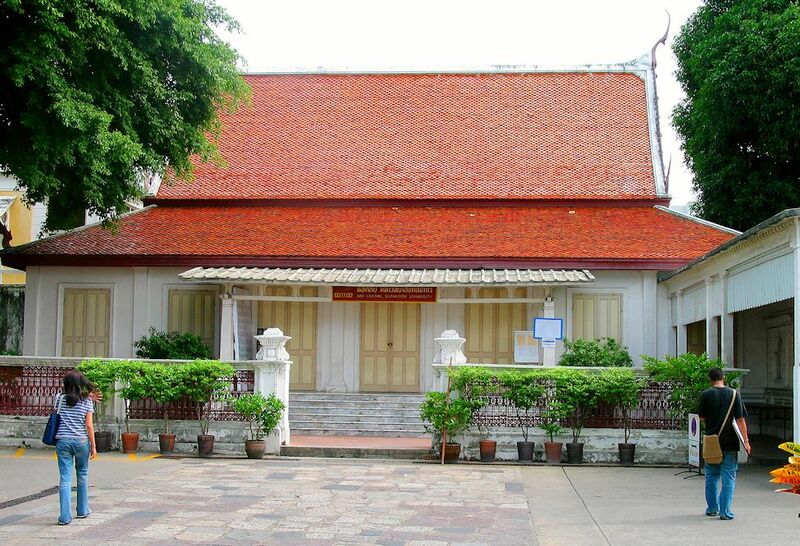 Bau des Tha Phra Palace (วังท่าพระ). "Der Wang Tha Phra (Thai: วังท่าพระ - Palast an der Buddha-Landungsbrücke) ist ein ehemaliger Palast in Bangkok, der Hauptstadt von Thailand. Er diente in der frühen und der mittleren Rattanakosin-Periode männlichen Mitgliedern der Königlichen Familie als Residenz. Heute wird das Palast-Gelände von der Silpakorn-Universität (มหาวิทยาลัยศิลปากร) genutzt. Das Palastgelände wird heute im Süden begrenzt durch die Thanon Na Phra Lan (Na-Phra-Lan-Straße), im Westen von der Thanon Mahathat (Mahathat-Straße), im Norden vom Gelände des Wat Mahathat (วัดมหาธาตุ ยุวราชรังสฤษฎิ์ ราชวรมหาวิหาร) und im Osten von der Thanon Na Phra That (Na-Phra-That-Straße). Der schlichte Haupteingang zur Universität befindet sich gegenüber dem nordwestlichen Eingang zum Großen Palast von Bangkok. Die Buddha-Landungsbrücke („Tha Phra“) wird heute meist Tha Chang („Elefanten-Landungsbrücke“) genannt, weil früher dort die königlichen Elefanten täglich im Chao Phraya (แม่น้ำเจ้าพระยา) gebadet wurden. Der Name „Tha Phra“ stammt aus dem Jahr 1808, als König Puttha Yotfa Chulalok (Rama I.) eine bronzene Buddha-Statue aus dem Wat Mahathat (วัดมหาธาตุ) in Sukhothai (สุโขทัย) mit dem Floß in seine neue Hauptstadt Bangkok bringen ließ. Diese Statue sollte die Hauptstatue des neuen Tempels Wat Suthat (วัดสุทัศน เทพวราราม ราชวรมหาวิหาร)) werden. Als das Floß in Bangkok ankam, musste das Stadttor am Ufer des Chao Phraya abgerissen werden, damit die riesige Statue an Land gebracht und weiter zum Wat Suthat geleitet werden konnte, wo sie sich heute noch befindet. König Puttha Yotfa Chulalok sah das Gelände zwischen der nördlichen Einfassungsmauer des Großen Palastes und dem Wat Mahathat für drei Paläste vor, die von Prinzen und weiteren Mitgliedern der königlichen Familie als Residenz bewohnt wurden: den Wang Tha Phra (auch Wang Tawan Tok, วังตะวันตก - Westlicher Palast), den Wang Klang (วังกลาง - Mittlerer Palast) und den Wang Tawan Ok (วังตะวันออก - Östlicher Palast). Der Bau des Tha-Phra-Palastes begann bereits im Jahr 1782. Nach seiner Fertigstellung wurde er von Kromkhun Kasatranuchit (กรมขุนกษัตรานุชิต, auch: Chaofah Men - เจ้าฟ้าเหม็น), einem Neffen des Königs bewohnt. 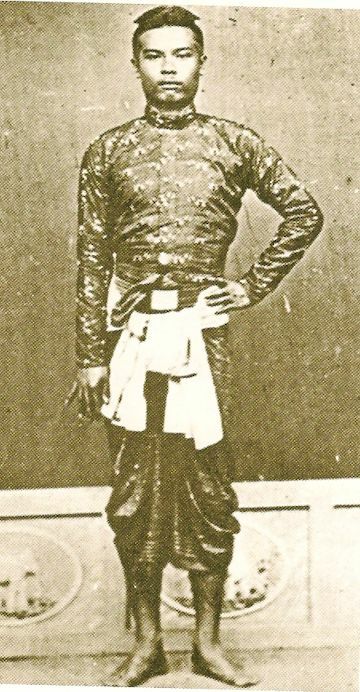 König Phuttaloetla Naphalai (Rama II.) übertrug den Palast an seinen Sohn, Prinz Krommuen Jesadabodin (กรมหมื่นเจษฎาบดินทร์), der später zum König Nang Klao (Rama III.) gekrönt wurde. Während der Regierungszeit seines Vaters übernahm Prinz Jesadabodin einen Teil der Regierungsgeschäfte, dabei benutzte er das Gebäude „Thong Phra Rong“, welches noch heute am Eingang zur Universität steht, als Audienzhalle. König Nang Klao machte nach seiner Thronbesteigung den Großen Palast zu seiner Residenz, den Tha-Phra-Palast übertrug er an seinen Sohn, Prinz Lakkhananukhun. Als dieser starb, übernahm ein weiterer Sohn des Königs, Prinz Jumsai (ชุมสาย), den Wang Tha Phra. Prinz Jumsai wurde später unter König Mongkut (Rama IV.) zum Leiter des Krom Chang Sib Mu („Ministerium der zehn Künste“, das königliche Bauministerium). 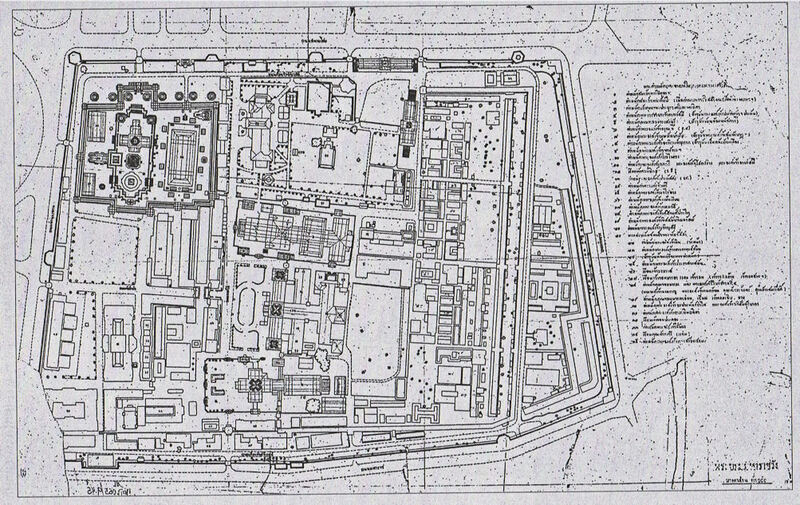 Zu jener Zeit beherbergte das Palastgelände etwa 200 Bewohner, sie erschufen unter anderem Plastiken, Holzschnitzereien und Malereien für die königlichen Gebäude. In der Regierungszeit von König Chulalongkorn (Rama V.) bewohnte Prinz Krommuen Adulyalaksanasompati (กรมหมื่นอดุลยลักษณสมบัติ), ein Sohn von König Nang Klao, den Palast. Als er starb übertrug der König 1883 den Palast an Prinz Naris (vollständiger Name: Narisara Nuvadtivongs - เจ้าฟ้ากรมพระยานริศรานุวัดติวงศ์), einem Sohn von König Mongkut. Dem Prinzen oblag die Renovierung und Restaurierung aller Palastgebäude. Da viele der traditionellen Häuser aus Holz gebaut waren, ließ der Prinz sie abreißen und durch zwei neue Gebäude in europäischem Stil ersetzen. Allein die Audienzhalle „Thong Phra Rong“ wurde erhalten. 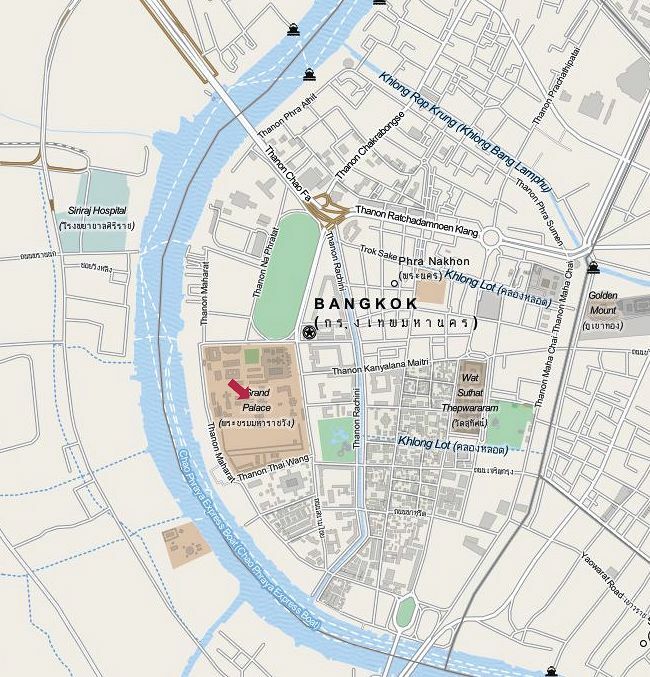 Wegen des rasanten Wachstums der Hauptstadt wurde das Palastgelände drastisch verkleinert, um einerseits die Thanon Na Phra Lan (Na-Phra-Lan-Straße) verbreitern und andrerseits die Thanon Mahathat (Mahathat-Straße) neu anlegen zu können. So prägte Prinz Naris das heutige Aussehen des Palastes. Nach dem Tode von Prinz Naris im Jahr 1964 übernahm die Silpakorn-Universität das Gelände. The Architectural Heritage Management for Wang Tha Phra and Wang Thanon Na Phra Lan – Dissertation von Nilwan Nildum (in Englisch)"
"Chaofa Krom Phra Anurak Devesh Krom Phra Rajawang Boworn Sathan Phimuk (Thai: เจ้าฟ้ากรมพระอนุรักษ์เทเวศร์ กรมพระราชวังบวรสถานภิมุข) (28 March 1746 – 20 December 1806) was a Siamese Prince and military leader. A nephew of King Buddha Yodfa Chulaloke (Rama I) the founder of the Chakri Dynasty, he was appointed Rear Palace or the Deputy Vice King of Siam. Becoming the only person to hold that title during the Rattanakosin Kingdom. Thong-In (ทองอิน) was born on the 28 March 1746 to an Ayutthayan aristocrat Phra Intraraksa (Seam) and Sa (later Princess Sister Thepsuthavadi; the eldest child of Thongdee and Daoreung). Sa was also the elder sister of Thong Duang, later Chao Phraya Chakri and in 1782 King Buddha Yodfa Chulaloke. 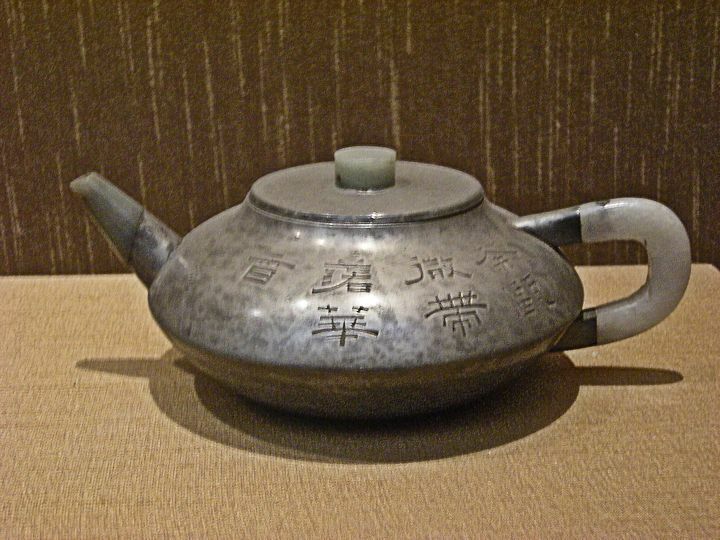 Thong-In was the eldest child and has two younger brothers and a sister. For a time Thong-In served in the Army under King Taksin [สมเด็จพระเจ้าตากสินมหาราช] of Thonburi [ธนบุรี] as Luang Ritnaiwair (หลวงฤทธิ์นายเวร). In 1780 he was raised to the rank of Phraya Suriyaphai (พระยาสุริยอภัย) and was appointed governor of Nakhon Ratchasima (นครราชสีมา). When his uncle ascended to the throne as King of the new Rattanakosin Kingdom in 1782, he elevated his nephew to the rank of Chaofa (เจ้าฟ้า, most senior rank of Prince). Soon he was appointed to the title of Krom Phra Rajawang Boworn Sathan Phimuk (กรมพระราชวังบวรสถานภิมุข) and Rear Palace (วังหน้า) or Deputy Vice King (Deputy Uparaja - อุปราช), this meant he was essentially the third most powerful individual in the Kingdom. When the new capital was built at Bangkok Prince Anurak Devesh built his residence (Wang Lang) back in Thonburi, directly opposite the Front Palace, today the site is now occupied by the Siriraj Hospital. After becoming the Rear Palace he assisted King Rama I in his fight against King Bodawpaya (ဘိုးတော်ဘုရား,, 1745 - 1819) of Burma in 1785 during the Nine Armies War (สงครามเก้าทัพ). During the conflict he personally accompanied the King to recapture the city of Phitsanulok (พิษณุโลก) from the Burmese. Anurak Devesh died on the 20 December 1806 at the age of 60. After his death King Rama I decided not to appoint anyone to succeed him as Rear Palace and left the office vacant, the tradition was carried by subsequent kings until the official abolishment of the title in 1885 by King Chulalongkorn. Making Anurak Devesh the only Rear Palace of the Chakri Dynasty. 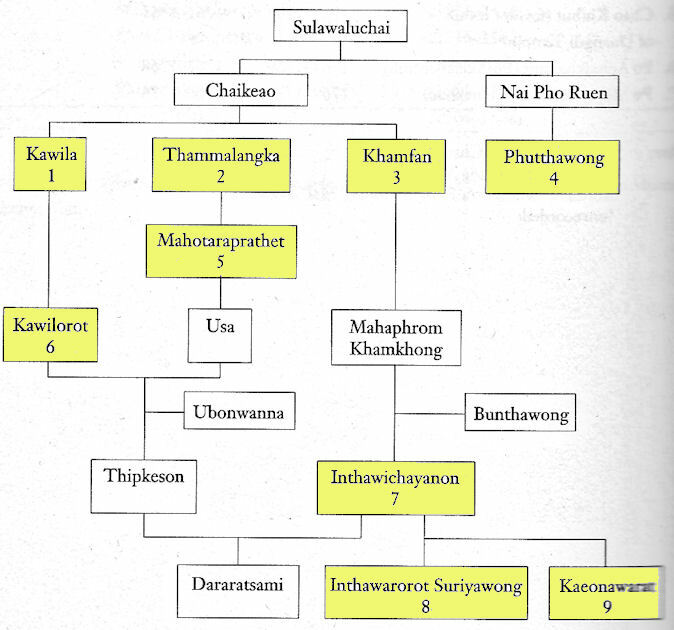 The Prince had 35 children, six borne from his consort Thongyu, others by concubines. Of his six children (borne with Thongyu), the four sons and two daughters received the title of Phra Ong Chao (the middle rank of Princes). 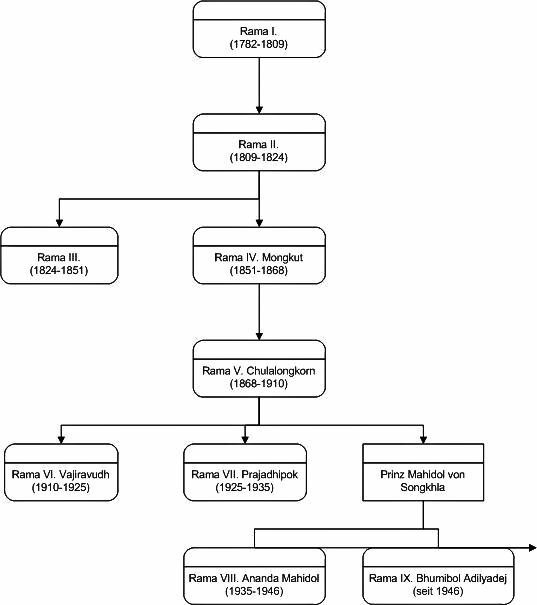 The rest (borne with concubines) received the title of Mom Chao (the most junior rank of Princes), however during the reign of King Mongkut (Rama IV), all 35 children was given the additional title of "Royal Cousins" (พระสัมพันธวงศ์เธอ or Phra Samphan Wong Ther)." 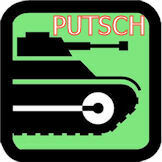 Errichtung des Stadt-Pfeilers (หลักเมือง) von Bangkok. "Lak Mueang (in Thai: หลักเมือง) oder Stadtpfeiler befinden sich in den meisten Provinz-Städten Thailands. Meist sind sie in einem Schrein angeordnet, wo man sich die Wohnstatt der Geister vorstellt, die die Stadt beschützen. Die Lak Mueang werden von den Stadtbewohnern hochverehrt. Bis zur Regierungszeit von König Chulalongkorn (Rama V.) waren die provinziellen Städte (Mueang - เมือง) relativ autonom. Viele haben noch heute ein Relikt aus diesen alten Zeiten, den Lak Mueang. Er wurde im Namen der höchsten politischen Autorität errichtet und verbinden religiöse Praktiken um den Wächtergeist der Stadt (Chao Phor Lak Mueang - เจ้าพ่อหลักเมือง) mit dem Sitz der politischen Macht. 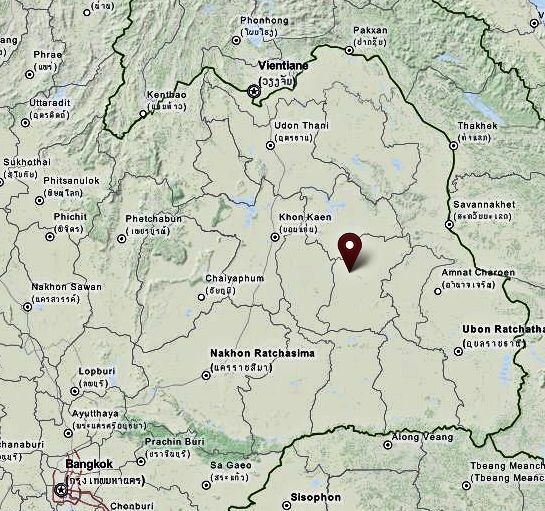 Der Lak Mueang steht meistens im geographischen Zentrum einer (Provinz-)Stadt, von hier aus werden alle Entfernungen gemessen. Ausnahmen sind die Lak Mueang, die von ihrem ursprünglichen Standort vor das Rathaus umgepflanzt wurden, um die ursprüngliche Verbindung zwischen der magischen Stadtsäule mit der weltlichen Autorität zu untermauern, wie es zum Beispiel in Lampang (ลำปาง) und auch in Petchaburi (เพชรบุรี) der Fall war. Der Schriftsteller und Steuerbeamte Nai Mi berichtet, wie er den Lak Mueang von Suphanburi (สุพรรณบุรี) besuchte, um die Geister um Beistand bei seinen Aufgaben zu bitten. Eine Stadtsäule hat immer eine beachtliche Größe. Oberhalb der Erde ist sie mindestens einen Meter hoch bis zu einer Größe zwei bis vier Metern. Das Material ist Hartholz – Sandelholz oder Teak, aber es soll auch solche aus Ziegel oder Stein geben. Eine Bemalung ist nicht unbedingt notwendig, die nackte Holzoberfläche ist oft zu sehen, genauso oft kann sie aber auch in einer tiefroten oder goldenen Farbe bemalt sein. Gerüchte wurden überliefert, nach denen es bei der Errichtung eines Lak Mueang zu Menschopfern gekommen sein soll. Alte Leute erzählen, dass sowohl in Trat (ตราด) als auch in Ratchaburi (ราชบุรี) zwei Menschen mitsamt der Säule lebendig eingegraben wurden. Jeremias Van Vliet, von 1636 bis 1640 im Auftrag der holländischen Vereenigde Oost-Indische Compagnie im Königreich Ayutthaya (อาณาจักรอยุธยา) unterwegs, berichtete von vier schwangeren Frauen, die unter den Palisaden einer Stadtbefestigung lebendig begraben wurden. Geister von schwangeren Frauen schienen schon damals besonders kämpferisch zu sein, selbst heute noch wird fest daran geglaubt, dass mit ihnen nicht zu spaßen ist. Der französische Bischof Pallegoix (ein Diskussionspartner von König Mongkut (Rama IV.) ) berichtet 1854 von ähnlichen Praktiken bei der Errichtung eines neuen Stadttores. Sollten sich diese Geschichten im Laufe der Jahrhunderte von der Stadtbefestigung zur Stadtsäule verselbständigt haben? Auf jeden Fall gibt es einen allgemeinen Glauben, dass einem Lak Mueang auch ein Wächtergeist innewohnt, ein Geist aus der Kategorie Chao Phor (เจ้าพ่อ), was ein männliches Geschlecht andeutet, der einer eigenen Umgebung zuzuordnen ist, und der ein besonderes Terrain bewacht. 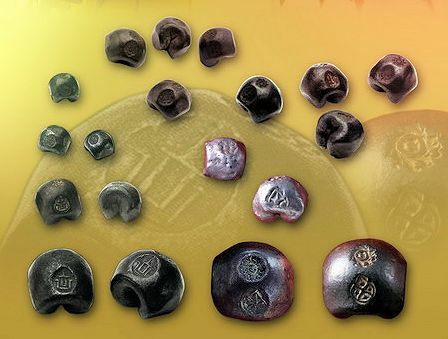 Von allen Chao Phor ist der Chao Phor Lak Mueang der mächtigste, er steht in der „Rangordnung“ allerdings unterhalb der Devata (เทวดา). Der Lak Mueang wird daher mit großem Respekt behandelt, gibt es doch von Zeit zu Zeit haarsträubende Berichte über den grimmigen Charakter eines Chao Phor - zum Beispiel der des Liebespaares in Ratchaburi, das sich nicht mehr aus der Vereinigung lösen konnte, da sie diese im Schrein selbst durchführten. Oder der von der Serie von Verkehrsunfällen im Jahre 1974 in Nakhon Sawan (นครสวรรค์), da der Umzug zu einem neuen Lak Mueang nicht ordnungsgemäß durchgeführt wurde. Auf der anderen Seite werden an den Geist auch Bitten und Gebete gerichtet, wie es auch am Erawan-Schrein (ศาลพระพรหม) gang und gäbe ist. Bemerkenswert ist die Unterstützung der Wächtergeister in den Lak Mueang durch die Chinesen, die sich in den Städten Siams niederließen. Möglicherweise erinnert sie der Chao Phor Lak Mueang wohl an den Ch′eng-huang (城隍), den Geist der Stadt-Mauern und -Gräben, der bereits im alten China die Städte vor Katastrophen und Desastern beschützte. In manchen Städten, wie zum Beispiel Suphanburi (สุพรรณบุรี) oder Songkhla (สงขลา), scheinen die Chinesen mit größerer Ernsthaftigkeit dem Wächtergeist gegenüberzutreten als der thailändische Bevölkerungsteil, wurden hier doch große chinesische Tempel um den Lak Mueang herum gebaut. Als König Phra Phuttayodfa Chulalok (Rama I.) seine Hauptstadt von Thonburi auf das andere Ufer des Maenam Chao Phraya verlegte, errichtete er als erstes Gebäude am 21. 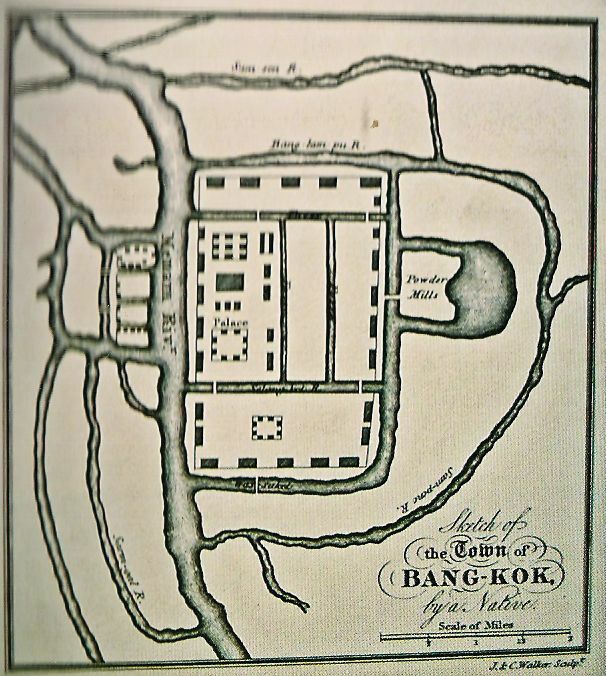 April 1782 den Stadtpfeiler Bangkoks an der südöstlichen Ecke des heutigen Sanam Luang (สนามหลวง) (siehe auch: Rattanakosin). Es gibt allerdings eine Legende, nach der der König den Lak Mueang zuerst an der südwestlichen Ecke errichten wollte. Als aber aus der Grube vier Schlangen krochen, was als sehr schlechtes Omen gewertet wurde, mussten die astrologischen Berechnungen erneut durchgeführt werden. Am 5. Dezember 1853 wurde daher die Stadtsäule an dem Ort errichtet, an dem sie noch heute steht. Kurze Zeit nach der Errichtung des Stadtpfeilers in Bangkok begann man, auch in anderen Städten, wie zum Beispiel in Songkhla, ähnliche Schreine zu bauen, um die zentrale Macht der siamesischen Könige zu symbolisieren. Weitere Schreine ließ König Puttha Loetla Nabhalai (Rama II.) in Nakhon Khuean Khan (heute Samut Prakan) bauen. Unter König Phra Nang Klao (Rama III.) wurden die Stadtpfeiler von Chachoengsao (ฉะเชิงเทรา), Chanthaburi (จันทบุรี) und Battambang (ក្រុងបាត់ដំបង, heute in Kambodscha) gebaut. Nachdem jedoch König Mongkut (Rama IV.) einen neuen Stadtpfeiler in Bangkok errichten ließ, wurden in den Provinzen keine weiteren mehr gebaut. Während des 2. Weltkriegs und der Besetzung durch japanische Truppen plante General Phibul Songkhram (แปลก พิบูลสงคราม) den Umzug der Hauptstadt von Bangkok nach Phetchabun (เพชรบูรณ์). Er ließ deshalb 1944 in Phetchabun einen Stadtpfeiler errichten. Doch scheiterte der Plan am Widerstand des Parlaments und nur die Idee der Lak Mueang erhielt neues Leben. In der Folgezeit bauten zahlreiche Provinzhauptstädte solche Schreine. 1992 gab das Innenministerium von Thailand einen Erlass heraus, nachdem jede Provinz solch einen Schrein haben sollte. 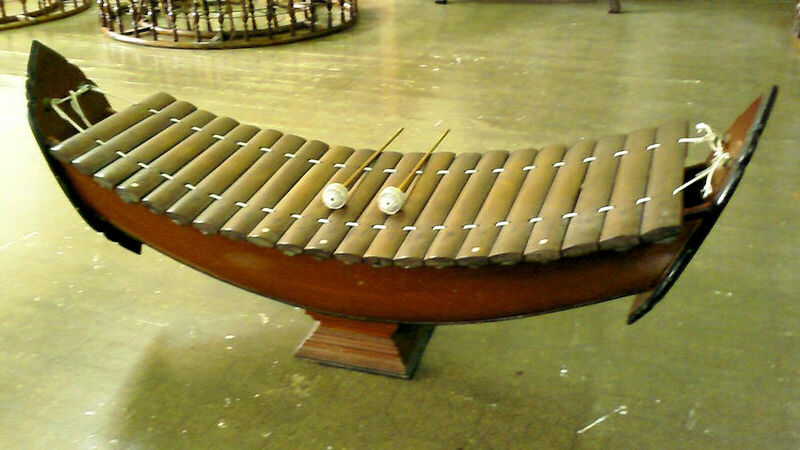 Der Baustil der Schreine ist durchaus unterschiedlich. So erinnert die Bauart der Schreine in den Provinzen mit größerem chinesischen Einfluss, wie zum Beispiel in Chanthaburi, Songkhla und Samut Prakan (สมุทรปราการ), an einen chinesischen Tempel. In Chiang Rai (เชียงราย) steht der Stadtpfeiler nicht in einem Schrein, sondern innerhalb des Wat Phra That Doi Chom Thong (วัดพระธาตุดอยจอมทอง) an einem offenen Platz. Adrian Snodgrass: The Symbolism Of The Stupa. Cornell Southeast Asia Program, Delhi, 1992, ISBN 81-208-0781-2"
"Das Flussbett des Maenam Chao Phraya (แม่น้ำเจ้าพระยา), so wie er heute mitten durch Bangkok fließt, wurde wesentlich in der Regierungszeit von König Chaiyarachathirat (สมเด็จพระไชยราชาธิราช) von Ayutthaya (1534-1546) bestimmt. Der ließ nämlich einen Khlong (คลอง, Kanal) graben, um die Fahrt vom Golf von Thailand bis zur Hauptstadt Ayutthaya (อยุธยา) durch zahlreiche Flussbiegungen abzukürzen. Der ursprüngliche Lauf des Flusses lässt sich noch heute erahnen, wenn man den Lauf des Khlong Bangkok Yai (คลองบางกอกใหญ่) und des Khlong Bangkok Noi (คลองบางกอกน้อย) westlich des heutigen Hauptstromes ansieht. Französische Ingenieure erbauten im Jahre 1675 Forts auf beiden Seiten des Flusses, sie mussten sich aber 1688 wieder von dort zurückziehen. Überreste des Forts auf der Thonburi-Seite (ธนบุรี) sind heute noch an der Mündung des Khlong Bangkok Yai zu sehen. Dort wo das Fort auf dem östlichen Ufer stand, gründete König Phuttayodfa Chulalok (Rama I.) die neue Hauptstadt des siamesischen Reiches. Als Phrabat Somdet Phra Phutthayodfachulalok Maharat (im Westen bekannt als König Rama I.) 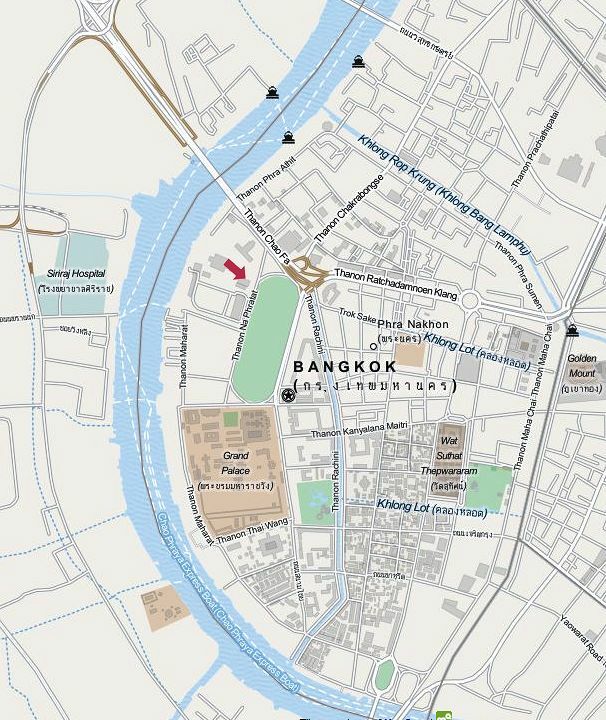 zum König ernannt war, beschloss er die Gründung einer neuen Hauptstadt am rechten Ufer des Chao Phraya-Flusses, da sich hier bessere Möglichkeiten der Verteidigung boten, als auf der westlichen Thonburi-Seite. Er beauftragte Phaya Thanmatikon und Phaya Wichitnawi die Bauarbeiten zu koordinieren. Am Sonntag, dem zehnten Tag des zunehmenden Mondes im Jahr des Tigers, im vierten Jahr der Dekade Chulasakarat 1144, also im Jahre 2325 buddhistischer Zeitrechnung, morgens um 6:54 Uhr wurde eine Zeremonie der „Grundsteinlegung“ (Setzen der Stadt-Säule, auf Thai: หลักเมือง - Lak Mueang, heute gegenüber dem Großen Königspalast) durchgeführt. Nach der Gründung des Großen Palastes wurde Rama I. am 10. Juni 2325 in einer königlichen Zeremonie offiziell zum König gekrönt. Dies wurde drei Tage lang ausgiebig gefeiert. 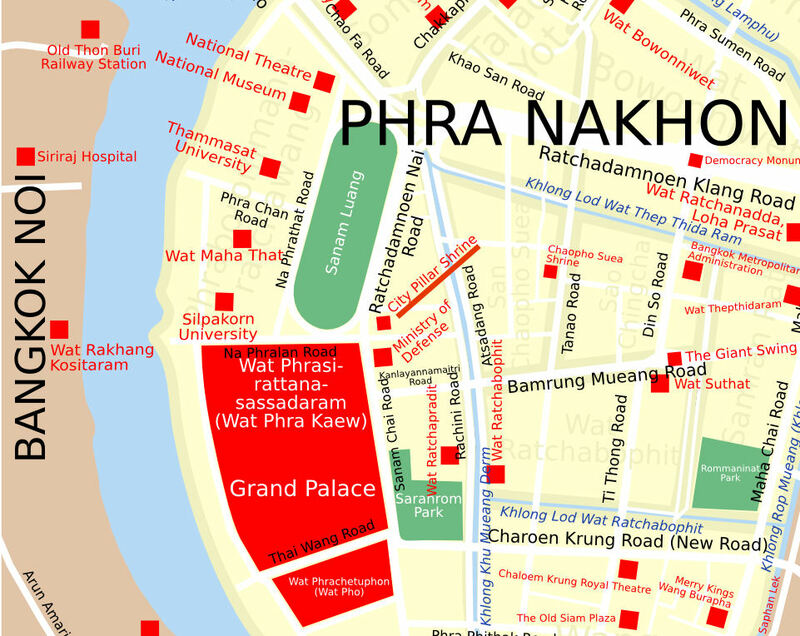 Während der Zeremonie wurde die Hauptstadt nach Phra Phuttha Maha Mani Rattana Patimongkon vom König feierlich auf den Namen Krung Rattanakosin In-Ayothaya getauft. 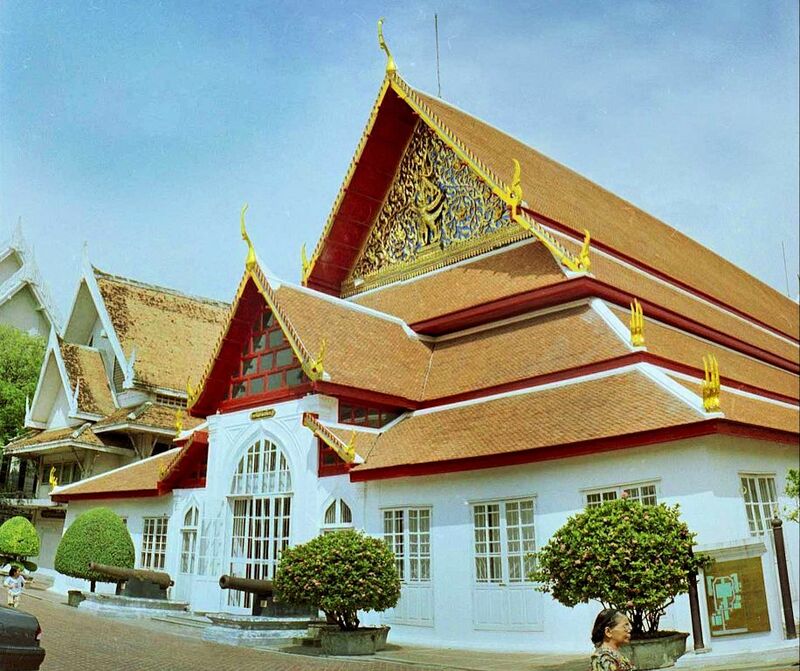 Spätere Könige änderten den Namen mehrmals ab, bis letztendlich die „Krung Rattanakosin“ den heutigen Namen bekam: „Krung Thep Maha Nakhon Amon Rattanakosin Mahinthrayutthaya Maha Dilokphop Noppharat Ratchathani Burirom Udom Ratchaniwet Maha Sathan Amon Piman Awathan Sathit Sakkhathattiya Witsanukam Prasit“ (Anmerkung: zur besseren Lesbarkeit wurden die Silben durch Leerzeichen voneinander abgetrennt – siehe auch Artikel Bangkok, กรุงเทพมหานคร อมรรัตนโกสินทร์ มหินทรายุธยามหาดิลก ภพนพรัตน์ราชธานีบุรีรมย์ อุดมราชนิเวศน์ มหาสถานอมรพิมาน อวตารสถิต สักกะทัตติยะ วิษณุกรรมประสิทธิ์). Das östliche Flussufer war ursprünglich sehr sumpfig, so dass es zuerst entwässert werden musste. Schon zur Zeit König Taksins wurde dazu ein schmaler Kanal, der Khlong Lord („Strohhalm-Kanal“) gegraben. Dort, wo der neue Palast geplant war, lebte bereits eine Gemeinschaft von wohlhabenden chinesischen Kaufleuten, die wahrscheinlich den dort bereits vorhandenen Wat Potharam (heute Wat Phra Chetuphon - วัดพระเชตุพน, kurz: วัดโพธิ์ - Wat Pho) unterstützten. Sie wurden freundlich „gebeten“, ihre Geschäfte umzusiedeln, und zwar in die „Gärten“, einer damals unbesiedelten Gegend vor der Stadt, die heute als „Sampeng“ (สำเพ็ง)bekannt ist. Dann konnten die ersten Gebäude des neuen Palastes gebaut werden. Später kam dann eine hohe Backsteinmauer dazu, die das Areal von heute 250 ha nach außen abschirmte. Als Vorbild für den neuen Palast diente der zerstörte Palast von Ayutthaya. Der Palast wurde so geplant, dass der König ihn nie verlassen musste. Wenn er sich dem Volk zeigen wollte, betrat er einen speziell dazu erbauten Balkon, heute noch als Teil der Ostmauer zu sehen. Der Palast enthielt einen Inneren Bereich, den Wang Nai (วังใน). Hier befand sich die Private Residenz des Königs, seine Blumengärten und die Villas der Königin und der Chao Choms (เจ้าจอม, etwa: „Königliche Gesellschafterinnen“) mit deren Kindern und (weiblichen!) Bediensteten. Der innere Bereich faszinierte als „Stadt der Frauen“ ausländische Besucher noch bis ins frühe 20. Jahrhundert. Im Äußeren Bereich befand sich das eigentliche Machtzentrum des siamesischen Reiches. Hier wohnte und lebte der Premier Minister mit seinen Sekretären, hier gab es das Hohe Gericht, die königliche Ratsversammlung, die königlichen Wachen, sogar die königliche Artillerie hatte hier ihr Quartier. Für den königlichen Tempel, der den Smaragd-Buddha (พระแก้วมรกต) beherbergen sollte, wurde ein eigener Bereich geschaffen. Es war der Wunsch von König Rama I., nicht eine völlig neue Hauptstadt zu errichten, sondern vielmehr eine Kopie der alten Hauptstadt Ayutthaya. Da Ayutthaya rundherum von Wasser umgeben war, ließ der König auch hier im Osten der Stadt einen weiteren Kanal graben, so dass die Hauptstadt scheinbar auch auf einer Insel lag, der Rattanakosin-Insel (กรุงรัตนโกสินทร์). Dieser Äußere Stadtgraben oder Khlong Robb Krung (wörtlich: „Kanal, der die ganze Stadt umschließt“) wurde 1783 von 5.000 laotischen Kriegsgefangenen als Verteidigungs-Graben ausgehoben und mit einer dicken, zinnenbewehrten Ziegelmauer eingefasst. (Überreste dieser Mauer sind heute noch am Prasumen Fort und gegenüber dem Wat Bovornivet in Banglampuh zu sehen.) Viele der Backsteine, die zum Bau der Mauer und der Forts benutzt wurden, kamen aus dem zerstörten Ayutthaya auf Leichtern den Fluss herunter. Der Graben wurde weit genug ausgehoben, um der Bevölkerung auch hier die in Ayutthaya so beliebten Bootsrennen bieten zu können. Als weitere Verteidigungsmaßnahme wurde der nordöstlich gelegene Teil der Rattanakosin-Insel als Sumpfgebiet belassen. Hier wurden später Obstbäume gepflanzt, und erst König Chulalongkorn ließ hier die breiten Avenuen bauen, die Ratchadamnoern („wo der König lustwandelt“) genannt wurden und die noch heute den Grand Palace mit dem als Gartenstadt geplanten Dusit-Palast verbindet. Nördlich des Großen Palastes lag der Sanam Luang (สนามหลวง, Königlicher Platz). Hier fanden die königlichen Kremationen statt, er war Schauplatz von jährlichen Zeremonien, wie das „Erste Pflügen“, einer brahmanischen Zeremonie, um das Volk einer guten Ernte zu versichern. Der Vizekönig bekam seinen eigenen Palast gebaut, den sog. „Vorderen Palast“ (วังหน้า, Wang Na), der sich nördlich vom ebenfalls zur Gründungszeit existierenden Wat Mahathat befindet. Er erhielt ein eigenes Tempelgebäude, den Wat Buddhaisawan mit dem Phra Buddha Sihing, einer bronzenen Buddha-Statue aus der Sukhothai-Zeit. Heute ist im Wang Na das Nationalmuseum (พิพิธภัณฑสถานแห่งชาติ พระนคร), im südlichen Teil die renommierte Thammasat-Universität (มหาวิทยาลัยธรรมศาสตร์) beheimatet. König Rama I. wäre kein richtiger König gewesen, wenn er nicht auch für seine Hauptstadt angemessen zahlreiche Tempel instand gesetzt und neu gegründet hätte. Bereits zu Anfang seiner Regierungszeit erließ er, dass aus der zerstörten Hauptstadt die heiligen Bildnisse des Buddha nach Bangkok gebracht würden, um ihnen hier eine würdige Umgebung zu schaffen. Gemäß alter Chroniken hat Rama I. mehr als 1.250 Statuen aus zerstörten oder verfallenen Tempel im ganzen Land nach Bangkok schaffen lassen und sie an verschiedene Tempel seiner Hauptstadt verteilt. Wat Potharam, der alte Tempel der direkt südlich an seinen Palast grenzt, wurde renoviert und vergrößert, um den alten Glanz Ayutthayas wieder auferstehen zu lassen. Die Renovierung wurde von 20.000 Arbeitern in 12 Jahren durchgeführt, anschließend bekam er den heutigen Namen Wat Phra Chetuphon, bei Touristen ist er aber noch immer unter seinem alten Namen als Wat Pho bekannt. Als religiöses und geographisches Zentrum seiner Hauptstadt ließ König Rama I. einen neuen großartigen Tempel bauen. Das gesamte Layout sollte „systematisch, ordentlich und sorgfältig ausgeführt werden, so dass dieser Tempel das würdevolle Highlight des ganzen Landes“ wird. Die Grundsteinlegung des neuen Tempels war am Montag dem ersten Februar 1807 auf dem Gelände, das neben einem brahmanischen Monument mit Namen „Sao Ching Cha“ lag. Die Haupt-Buddha-Statue sollte eine alte Statue werden, die sich ursprünglich im verlassenen Wat Mahathat in Sukhothai befand. Sie wurde mit dem Boot in die Hauptstadt gebracht und im Jahre 1808 im neuen Tempel geweiht. Anschließend bekam der Tempel seinen Namen Wat Suthat Thepwararam (วัดสุทัศน เทพวราราม). Dieser Name bezieht sich auf die göttliche Stadt des Gottes Indra im Tavatimsa (ดาวดึงส์) Himmel auf der Spitze des Berges Meru. Der König verstarb im Jahre 1809, ohne die Fertigstellung des Tempels mitzuerleben." Grundsteinlegung zum Großen Palast (พระบรมมหาราชวัง) in Bangkok. Beginn des Ausbaus von Bangkok und besonders der Königspaläste. Zum Bau werden 5000 Laoten aus Vientiane (ວຽງຈັນ) und 10.000 Kambodschaner aus dem siamesischen Westkambodscha als Zwangsarbeiter verschleppt. 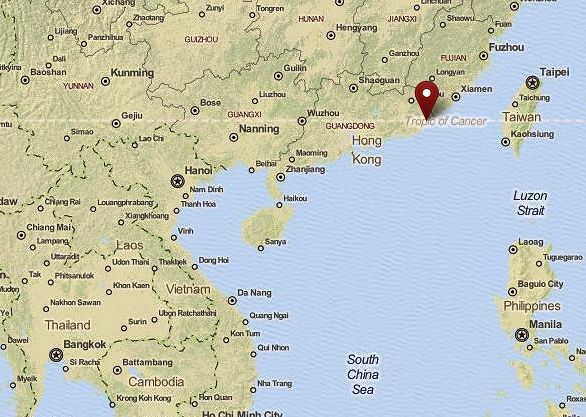 Um Platz für den Palast zu schaffen, werden die dort ansässigen Chinesen vertrieben. Sie werden durch den chinesischen General Tan Liang (Chen Lian / 陈联) im Sumpfgebiet des heutigen Khet Sampan Thawong (สัมพันธวงศ์), der Chinatown Bangkoks, zwangsweise angesiedelt. "Das Gebiet von Samphan Thawong (สัมพันธวงศ์) ist seit der Gründung Bangkoks von Chinesen bewohnt. Bevor Bangkok 1782 zur Hauptstadt des siamesischen Reiches wurde (während der so genannten Rattanakosin-Periode), wohnte eine chinesische Gemeinschaft auf dem Gelände des heutigen Grand Palace. Sie wurden von König Puttha Yotfa Chulalok (Rama I.) freundlich „gebeten“, ihre Geschäfte umzusiedeln, und zwar in die „Gärten“, einer damals unbesiedelten Gegend vor der Stadt, die heute als „Sampeng“ bekannt ist. Die schmale Sampheng Lane (สำเพ็ง, heute Wanit I Road, วานิช 1 genannt) war lange die Hauptdurchgangsstraße der Chinatown, „mit einem Gewirr von engen Gassen und verschachtelten Gebäuden, wie es im Reich der Mitte üblich war“ (Lit. : Van Beek, 1999). Sie war seinerzeit auch ein berüchtigter Rotlichtbezirk, wo sich Bordell an Bordell reihte. Die chinesischen Prostituierten mussten sich angeblich alle den Nachnamen Kim zulegen. Heute werden hier vor allem billige Haushaltswaren, Plastikspielzeug, Stoffe und Textilwaren und Devotionalien für die Einheimischen verkauft. Die Gasse ist so eng, dass die Ware auf dem Rücken herbeigeschleppt werden muss, Fahrzeuge kommen hier nicht hinein. Im Jahre 1863 kam dann auf Drängen vieler Ausländer Bangkoks die gepflasterte New Road (Charoen Krung) hinzu. Nach einem verheerendem Feuer im Jahre 1891 erlaubte König Chulalongkorn (Rama V.) den Bau einer dritten Durchgangsstraße, der Yaowarat Road. Heute ist die Yaowarat Road das Herz der Chinatown Bangkoks." Abb. : Modell des Großen Palasts (พระบรมมหาราชวัง) in seinem Endzustand, 20. Jhdt. Abb. : Plan des Großen Palasts (พระบรมมหาราชวัง) in seinem Endzustand, 20. Jhdt. Nur 15 Jahre nachdem die Birmanen die alte Hauptstadt Ayutthaya zerstört hatten, machte sich der soeben gekrönte König Phra Phuttayodfa Chulalok (Rama I.) daran, den Ruhm des siamesischen Reiches wieder auferstehen zu lassen. Er beschloss, am 6. 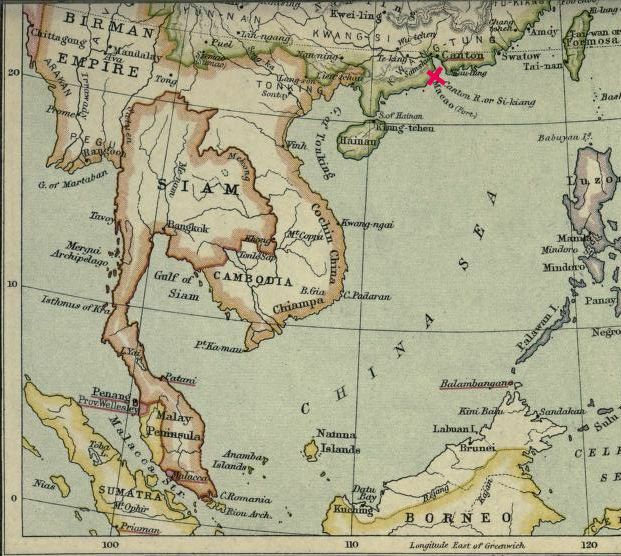 Mai 1782 den Grundstein zu einem neuen Palast auf dem östlichen Ufer des Maenam Chao Phraya legen zu lassen. Es wurde ein Bezirk abgesteckt, der nördlich des dort bereits vorhandenen Wat Potharam (heute Wat Phra Chetuphon, kurz: Wat Pho) und südlich des damaligen Wat Salak (heute Wat Mahathat) lag. Das östliche Flussufer war ursprünglich sehr sumpfig, so dass es zuerst entwässert werden musste. Schon zur Zeit König Taksins wurde dazu ein schmaler Kanal, der Khlong Lord („Strohhalm-Kanal“) gegraben. Dort, wo der neue Palast geplant war, lebte bereits eine Gemeinschaft von wohlhabenden chinesischen Kaufleuten, die wahrscheinlich den damaligen Wat Potharam unterstützten. Sie wurden freundlich „gebeten“, ihre Geschäfte umzusiedeln, und zwar in die „Gärten“, einer damals unbesiedelten Gegend vor der Stadt, die heute als „Sampeng“ bekannt ist. Dann konnten die ersten temporären Gebäude des neuen Palastes aus Holz und Blättergeflecht gebaut werden. Der 10. Juni 1782 wurde als verheißungsvolles Datum bestimmt, zu dem der König aus dem alten Palast von König Taksin, dem Phra Radscha Wang Derm, welcher in Thonburi direkt neben dem heutigen Wat Arun lag, zeremoniell den Fluss überquerte um seine neue Bleibe zu übernehmen. Das gesamte Areal war zunächst von einer stark befestigten hölzernen Palisade umgeben. Später wurde sie durch eine 1,9 km lange, hohe Backsteinmauer ersetzt, die den Palast nach außen abschirmen sollte. Die dringend benötigten Baumaterialien, wie zum Beispiel Ziegelsteine, wurden per Schiff aus dem zerstörten Palast in Ayutthaya geholt. Der erste Bauabschnitt konnte 1785 fertiggestellt werden, so dass der Palast in einer großartigen Zeremonie offiziell eingeweiht werden konnte." Bangkok bildete ursprünglich nur ein kleines Fischerdorf am östlichen Ufer des Chao Phraya. Um 1680 gab es südlich des Dorfes nur drei bewohnte Plätze: ein Zollhaus, die von den Holländern 1622 angelegte Faktorei namens Fort Amsterdam sowie den Ort Ban Vat. 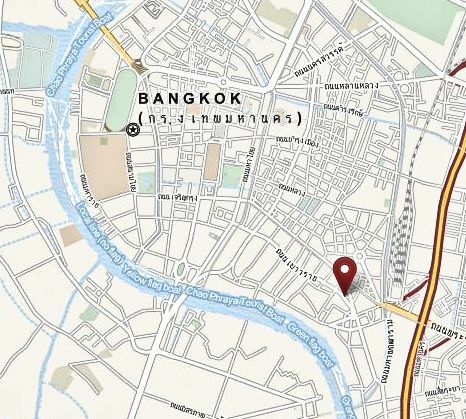 Der Ursprung des heutigen Bangkok liegt in der Kleinstadt Thonburi, heute Teil der Hauptstadt, am westlichen Ufer des Chao Praya. General Taksin machte Thonburi im Jahr 1772, nachdem die Hauptstadt des Königreiches Ayutthaya 1767 im Krieg mit Birma weitgehend zerstört worden war, zur neuen Hauptstadt. Zehn Jahre später verlegte der neue König Rama I., Begründer der bis heute regierenden Chakri-Dynastie, den Regierungssitz auf das östliche Ufer und begann damit das Gebiet namens Rattanakosin (กรุงรัตนโกสินทร์), mit dem damals vor allem von Chinesen bewohnten Dorf Bang Kok (บางกอก), eigentlich wohl Bang Makok (บางมะกอก), was jeweils „Dorf der Wildpflaume“ (Spondias mangifera) bedeutet, nach dem Vorbild der früheren Residenzstadt zur Hauptstadt auszubauen. Der offizielle Name der Stadt lautet seit damals in der Kurzform Krung Thep (กรุงเทพฯ) – also „Stadt der Engel“. Das ist jedoch nur eine Kurzform des vollständigen Namens, des weltweit längsten Städtenamens (siehe oben Name der Stadt). Westliche Händler und Reisende verwendeten stattdessen den Namen des Dorfes Bangkok, woraus die heute international bekannte Bezeichnung wurde. 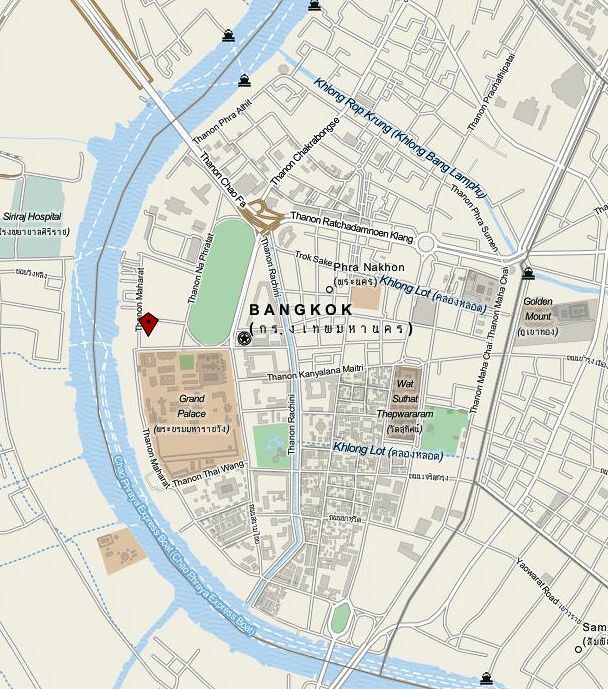 Rattanakosin wurde durch einen Kanal, den Khlong Lot, zu einer künstlichen Insel in einer Biegung des Chao Phraya in deren Zentrum der neue Königspalast und der königliche Tempel, der Wat Phra Kaeo mit dem Smaragd-Buddha (Phra Kaeo), dem Nationalheiligtum Thailands, errichtet wurden. In jener Zeit war die ganze Stadt von einem dichten Netz von Kanälen (Khlongs) durchzogen. Der Verkehr spielte sich zum Großteil auf diesen Khlongs ab. Selbst die Märkte („Schwimmende Märkte“) fanden auf dem Wasser statt. Straßen gab es kaum. Damals wurde Bangkok auch manchmal als das Venedig des Ostens bezeichnet. Die meisten Khlongs wurden ab der Mitte des 19. Jahrhunderts nacheinander zugeschüttet um Raum für den stetig zunehmenden Straßenverkehr und die wachsende Stadt zu schaffen. 1863 wurde die erste gepflasterte Straße der Stadt Thanon Charoen Krung (die Farang nannten sie New Road – „Neue Straße“, wörtlich „Straße zur Vergrößerung der Hauptstadt“) an Stelle eines früheren Elefanten-Trampelpfads fertiggestellt. 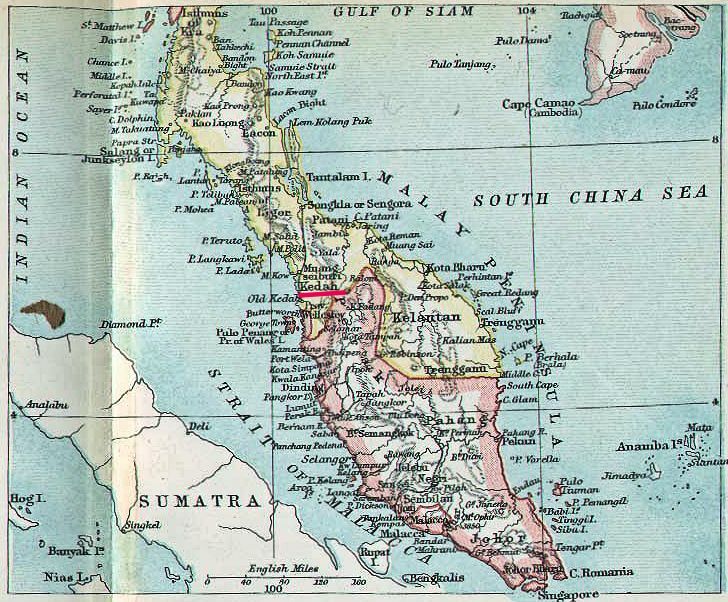 Während der Regentschaft König Chulalongkorn (Rama V.) (regierte 1868–1910) entstanden eine Eisenbahnlinie die Krung Thep mit dem Norden des Landes verband, Straßenbahnlinien für den innerstädtischen Verkehr, eine große Anzahl neuer Straßen und die Mehrzahl der oft von europäischen Stilen beeinflussten Regierungsgebäude. Zu Beginn des 20. Jahrhunderts wuchs die Stadt über ihre früheren Grenzen hinaus nach Norden und Osten. Einen weiteren Wachstumsschub, insbesondere für die westlich des Flusses gelegenen Stadtteile, bedeutete die Einweihung der ersten Brücke, der Memorial Bridge, über den Chao Praya im Jahr 1932. Während des Zweiten Weltkrieges war Bangkok für einige Jahre von japanischen Streitkräften besetzt und wurde ab 1944 von den Alliierten bombardiert. Nach dem Ende des Krieges erholte sich die Stadt aber rasch und wuchs beständig weiter. Bis zur Mitte des 20. Jahrhunderts waren die meisten Khlongs bereits zugeschüttet und durch Boulevards und Straßen ersetzt worden. Während dieser Zeit entstanden auch die Fernverkehrsstraßen in alle Himmelsrichtungen, wie die Sukhumvit-Straße. Ab den 1960er und 1970er Jahren wurden so viele Häuser gebaut und Stadtautobahnen ausgebaut wie nie zuvor. Mit dem Wirtschaftsboom der 1980er Jahre (siehe „Tigerstaaten“) setzte eine weitere neue Entwicklung ein, die zur Errichtung einer großen Zahl von Hochhäusern führte und das Stadtbild nachhaltig veränderte. Die Zahl der Bewohner stieg zugleich rasant und machte Bangkok schließlich zu einer der größten Metropolen der Welt. Zu Beginn des 21. Jahrhunderts leben in Bangkok über sechs Millionen Menschen, in der Metropolregion sogar über zehn Millionen. Wirtschaftlich erholt sich die Stadt zusehends vom Zusammenbruch am Ende des Booms der Neunziger Jahre, was nicht zuletzt auch in neuen Bauvorhaben seinen Ausdruck findet. Eines der größten städtischen Probleme stellt der Straßenverkehr dar. Auch der Ausbau des öffentlichen Verkehrsnetzes mit Bangkok Metro und Bangkok Skytrain konnte die Situation bislang nur minimal entspannen." Proklamierung von Rama I. als König und provisorische Königsweihe. Rama I. erlässt 10 Gesetze zur Reform des buddhistischen Ordens. "Upon taking over the government Rama I immediately applied himself to the task of making important changes in rank among the Buddhist hierarchy of the country. Under Taksin a large number of unworthy persons had been promoted to high positions in the clergy. At the command of Rama I such persons were now expelled from the community of Buddhist monks, or at least degraded to inferior positions. The king saw to it that all complaints about moral offenses or punishable actions on the part of the monks were properly investigated. On the other hand, monks who, under Taksin, had been deprived of their positions for no good reason were now reinstated. The position of a Thai king in relation to the Buddhist hierarchy of his country should not be misinterpreted as that of a head priest. His mission was rather to promote and protect Buddhism, that is to say, he had to guard against decay from within and simultaneously ward off attacks from outside. During the first two years after his accession to the throne Rama I issued seven decrees concerning the Buddhist monks in Thailand. 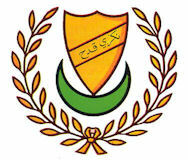 Their purpose was to raise the moral level of this class and to restore its prestige and authority. In addition, one more law was passed in each of the following years, 1789, 1794 and 1801. The Last law, the tenth, expelled 128 monks from the Buddhist clergy and condemned them to hard labor for "they had been guilty of all kinds of ignoble behavior, namely drinking, wandering about at night, rubbing shoulders with women, using improper language, buying silly things from Chinese junks. " Decrees were expressly issued for the civil servants and for the remaining population in order to keep them to a correct Buddhist way of life. In one of the decrees the king concerned himself with various widespread ideas of a superstitious nature with particular reference to the civil servants. Offerings such as flowers, fruit and candles could still be made as in the past, but not in excessive amounts and not as an expression of Buddhist belief. The killing of animals was forbidden in any case." 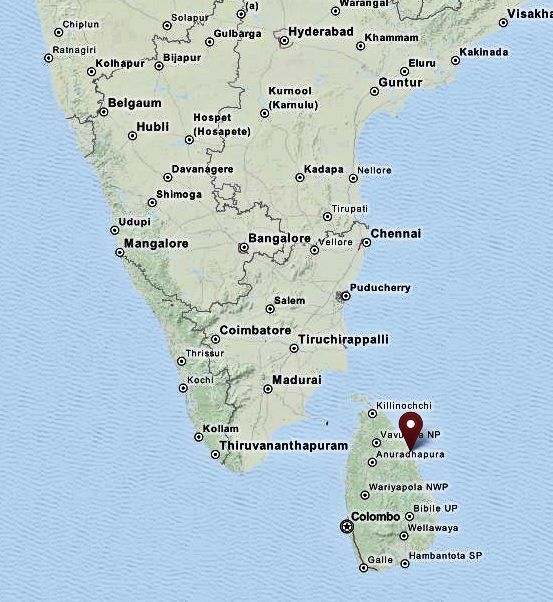 Seeschlacht von Trincomalee (திருகோணமலை / තිරිකුණාමළය, Ceylon) zwischen Frankreich und Großbritannien. "For some years, the King of Siam (Taksin) has tremendously upset his subjects and the foreigners who lived in or came to trade in his kingdom. Last year the Chinese, who were accustomed to trade (here), found it necessary to give up almost altogether. This last year the annoyances caused by this King, more than half-mad, have become more frequent and more cruel than before; he had had imprisoned, tortured, and flogged, according to his mood, his wife, his sons—even the heir presumptive, and his high officials. He wanted to make them confess to crimes of which they were innocent.. ."